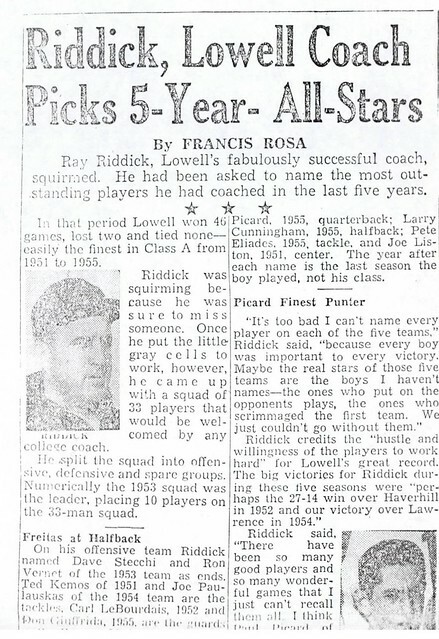 Since his name as long been synonymous with athletic excellence at Lowell High School, it is fitting that Ray Riddick be among its first group of inductees. 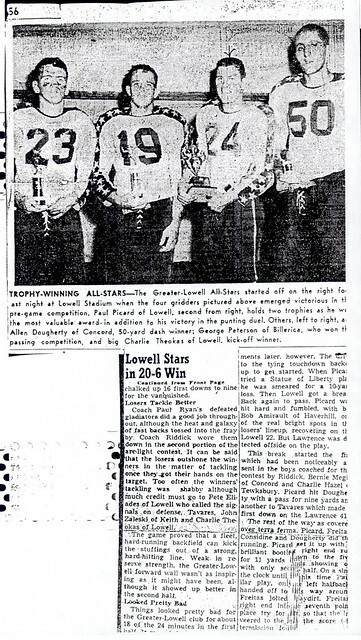 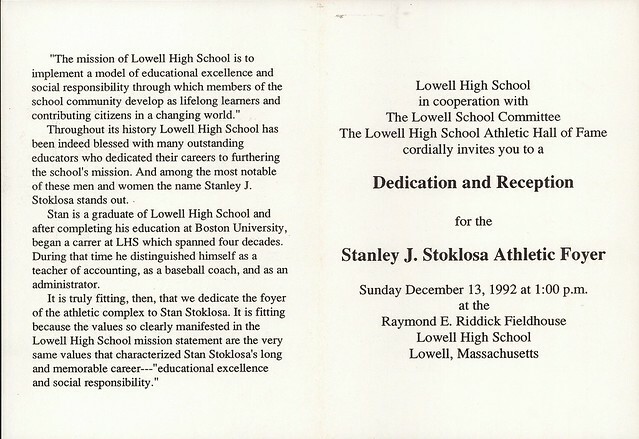 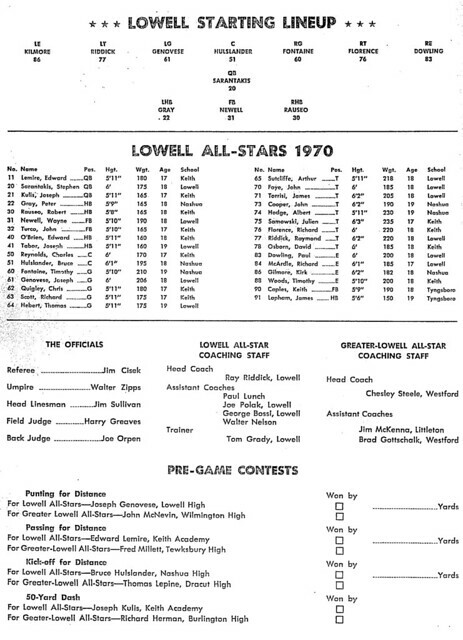 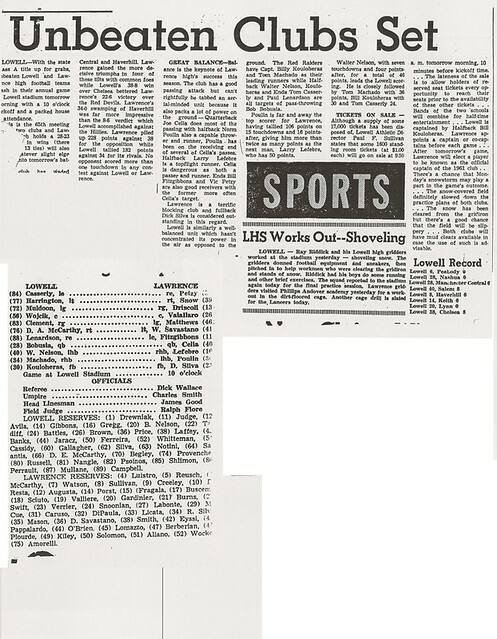 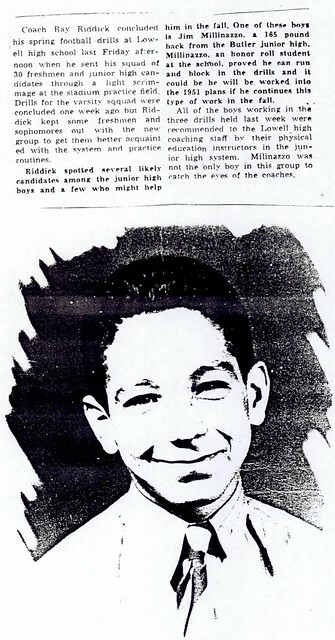 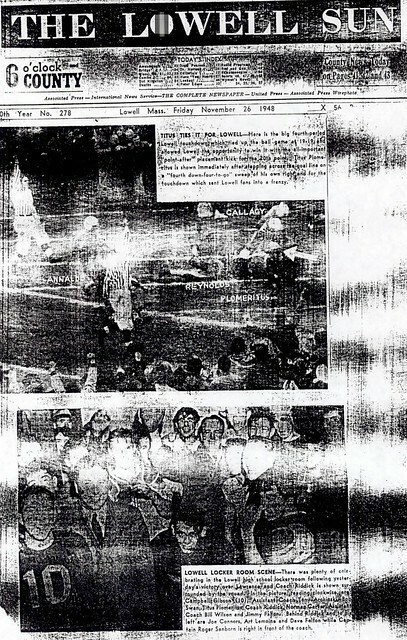 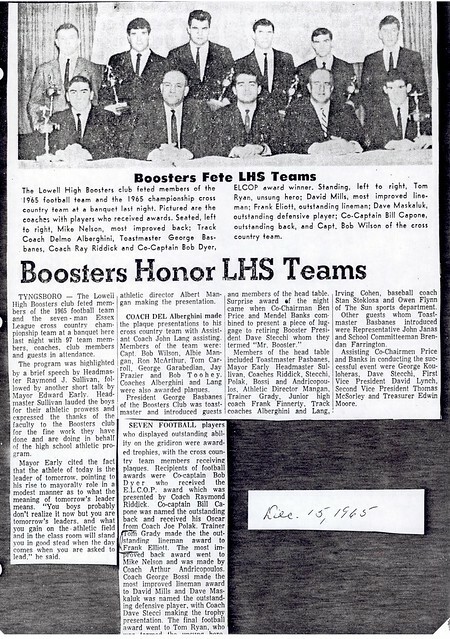 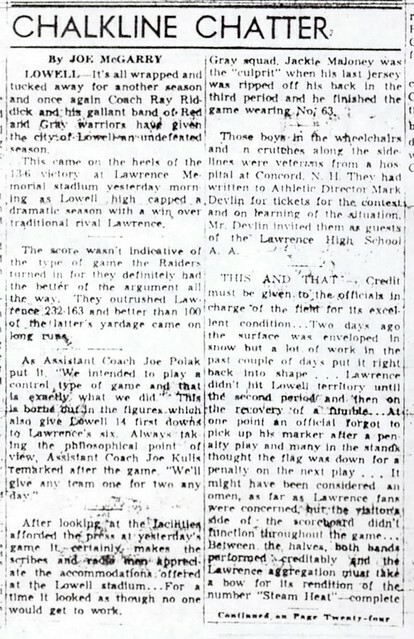 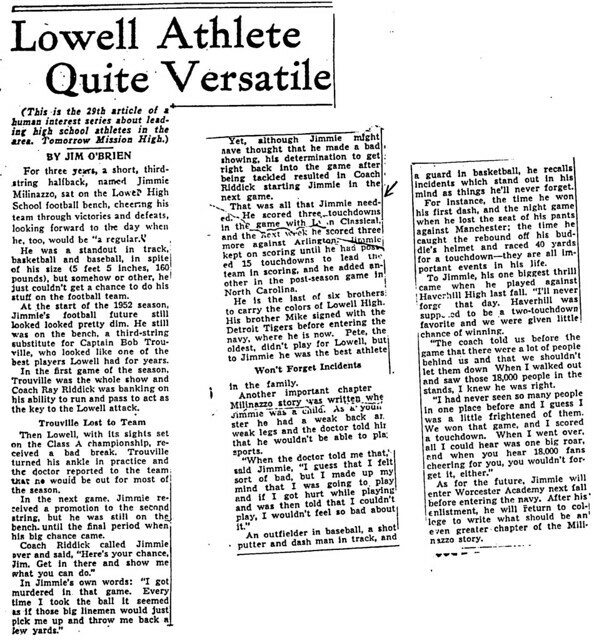 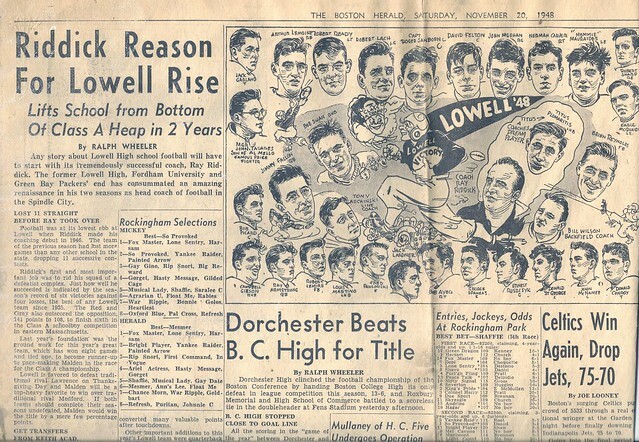 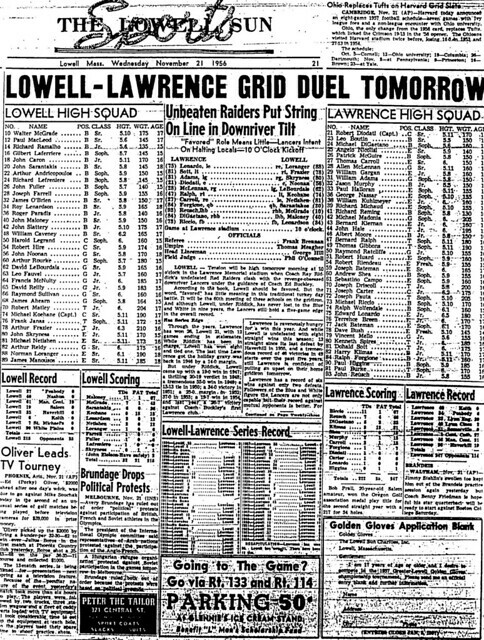 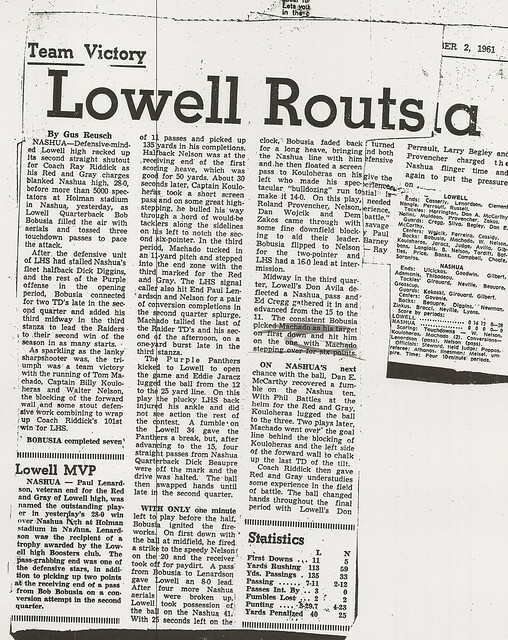 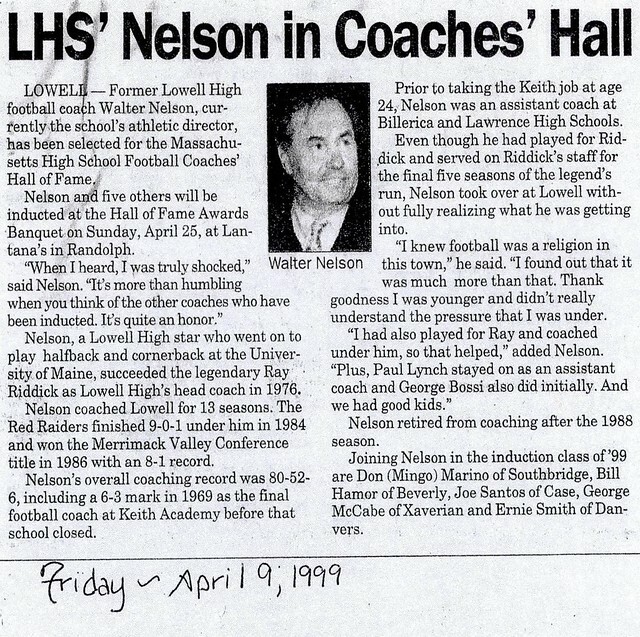 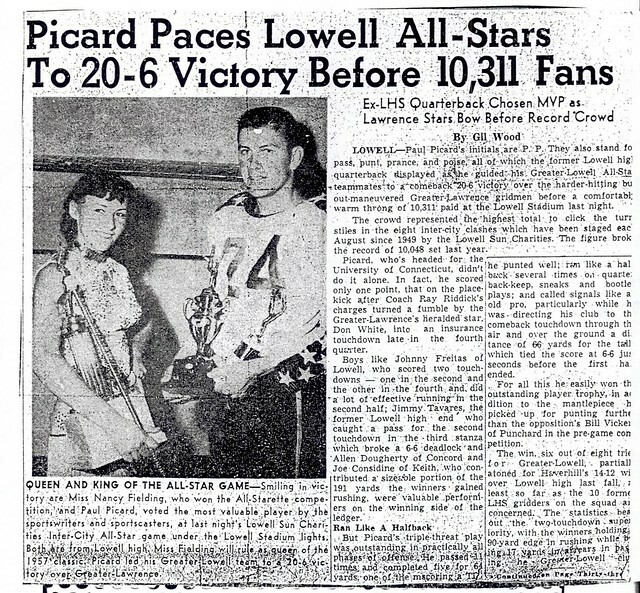 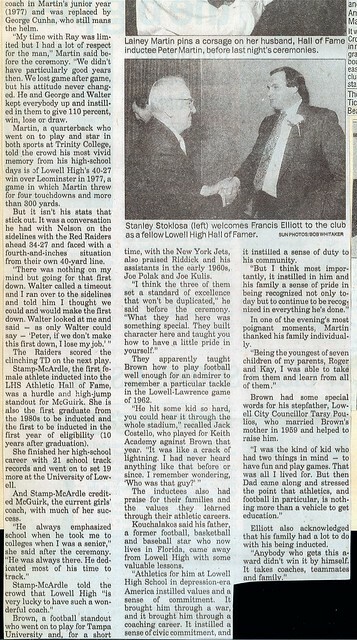 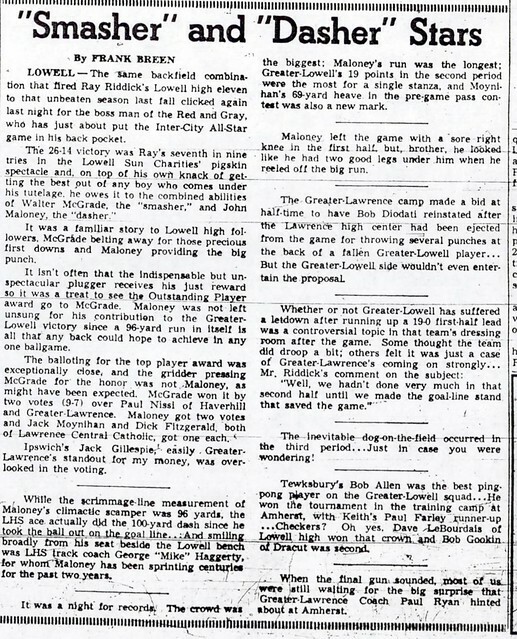 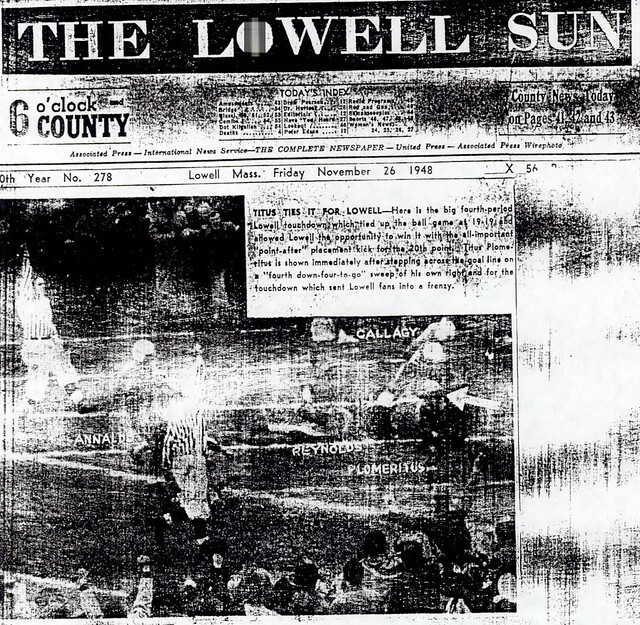 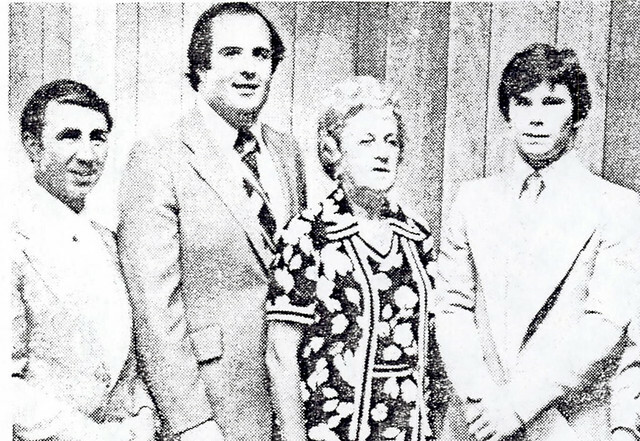 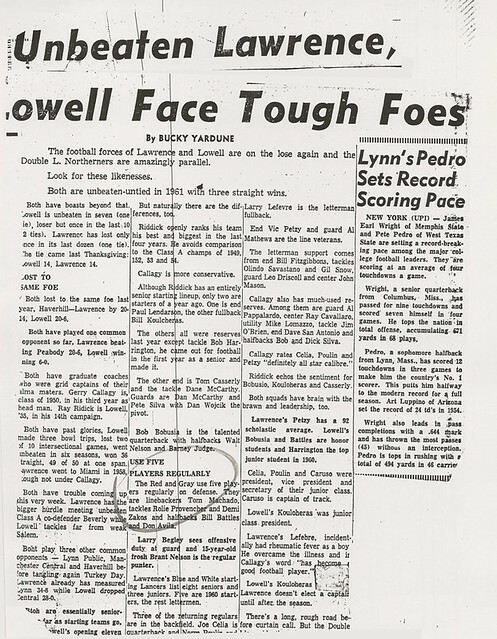 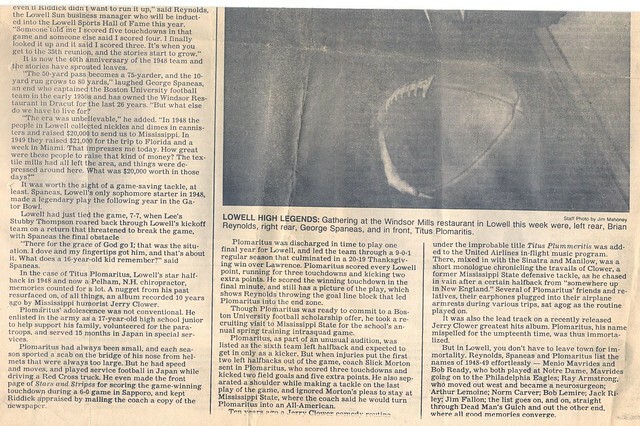 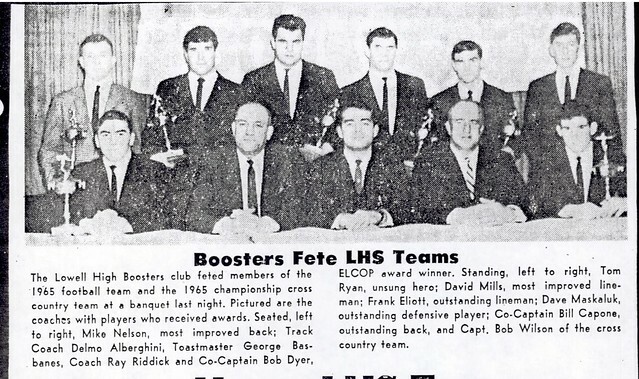 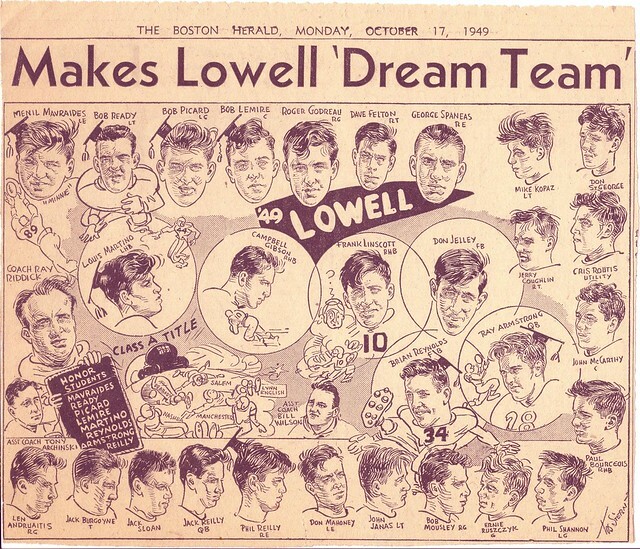 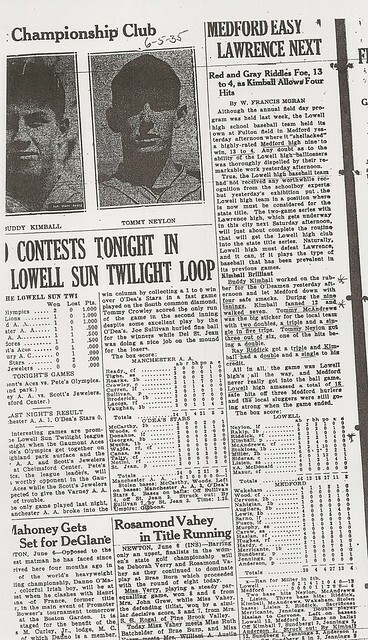 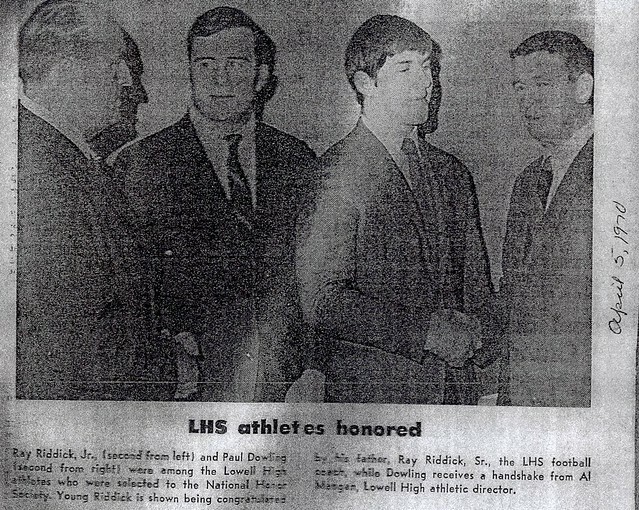 During his four years at Lowell High School Ray became one of the greatest all-round athletes in the school’s history–starring in football, track, and baseball. 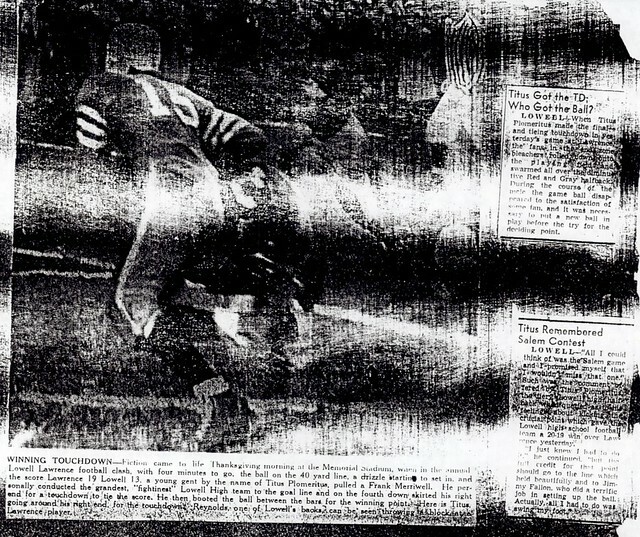 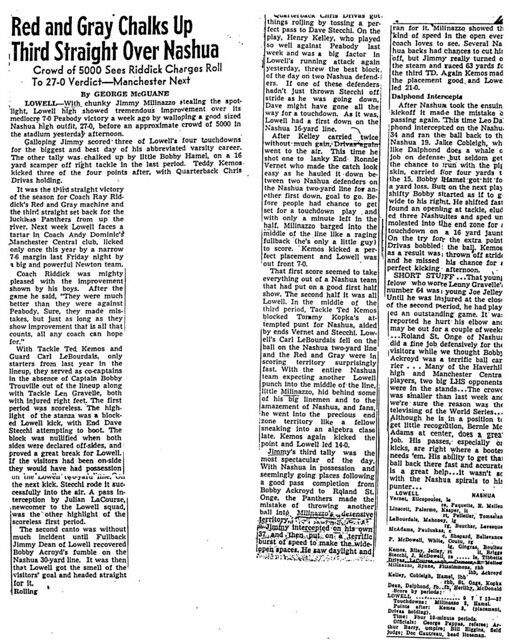 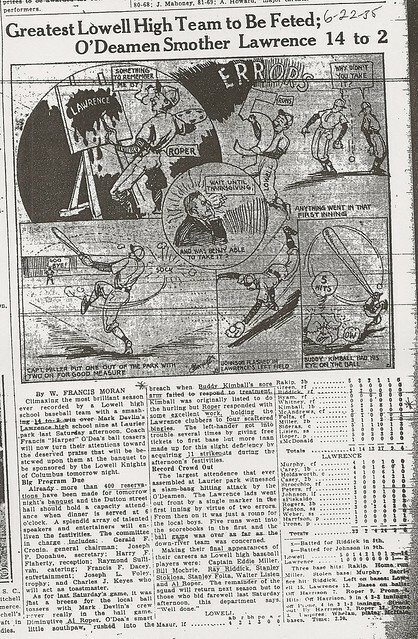 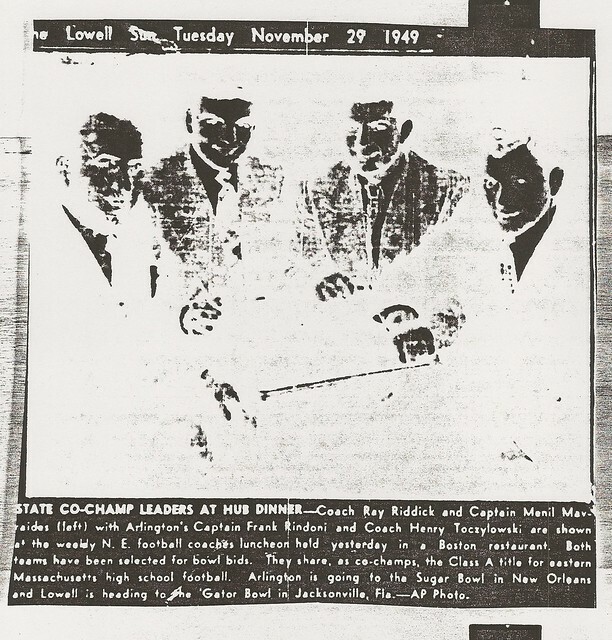 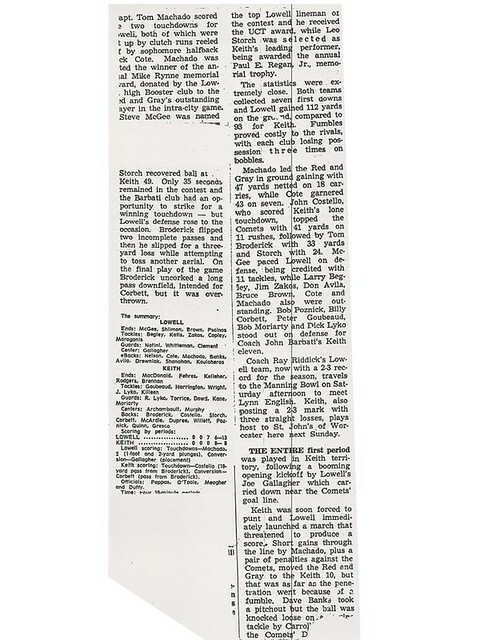 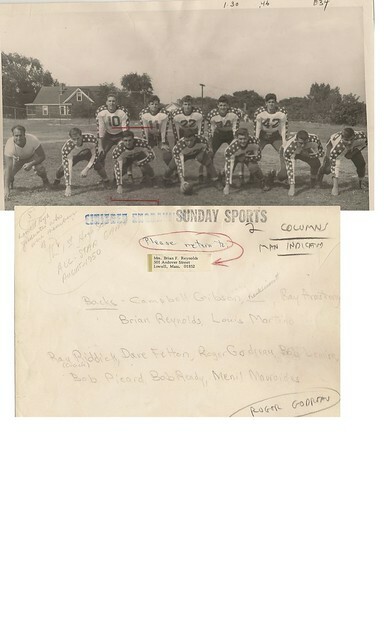 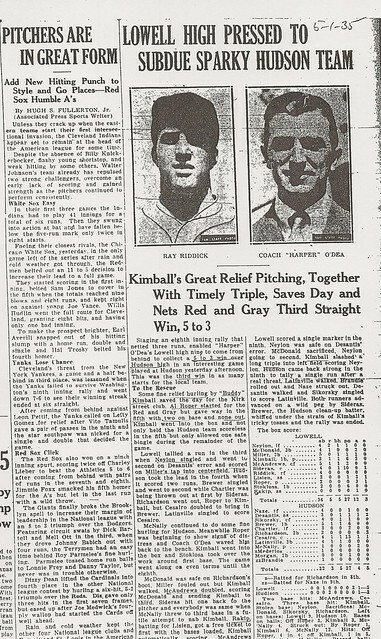 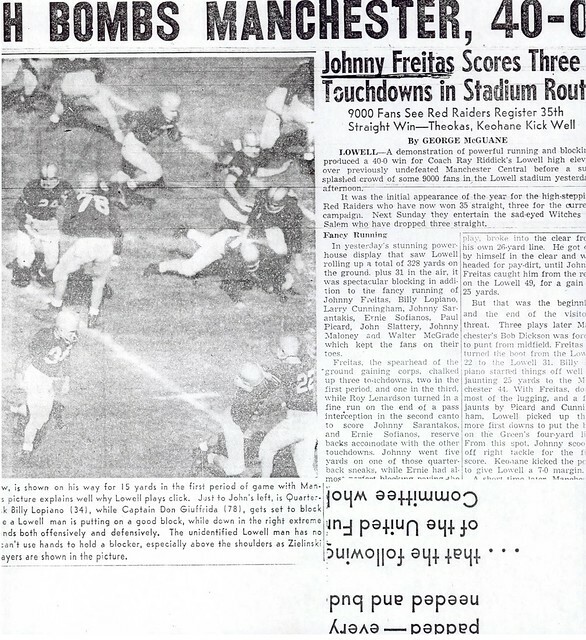 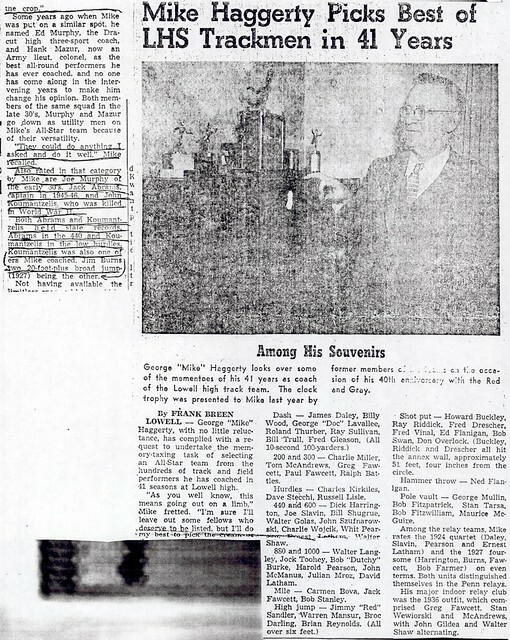 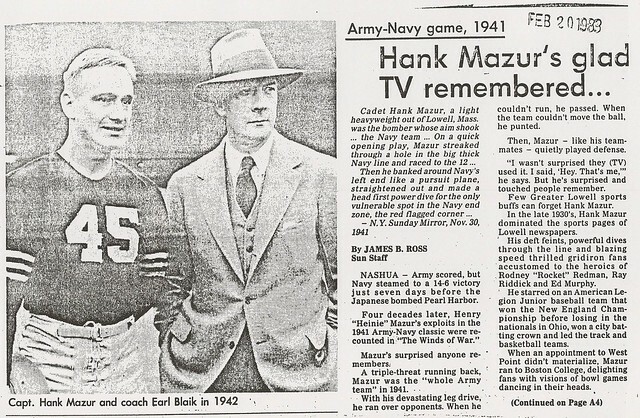 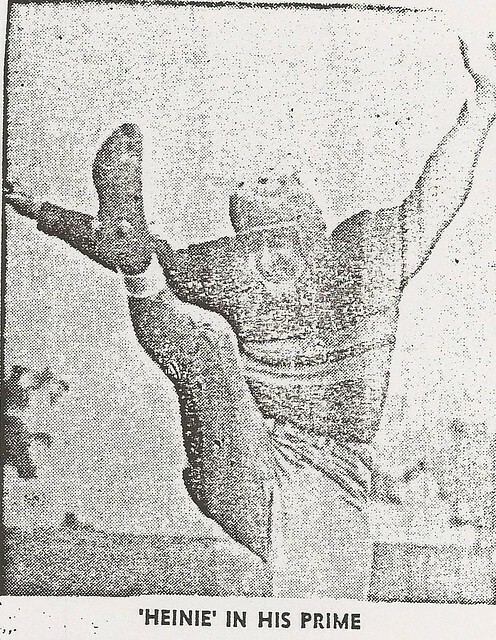 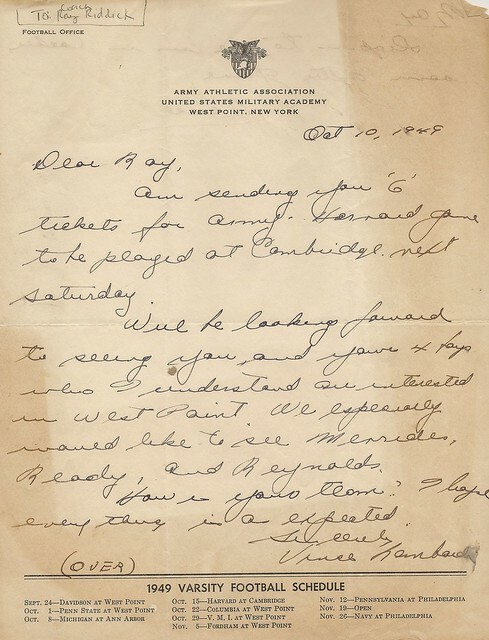 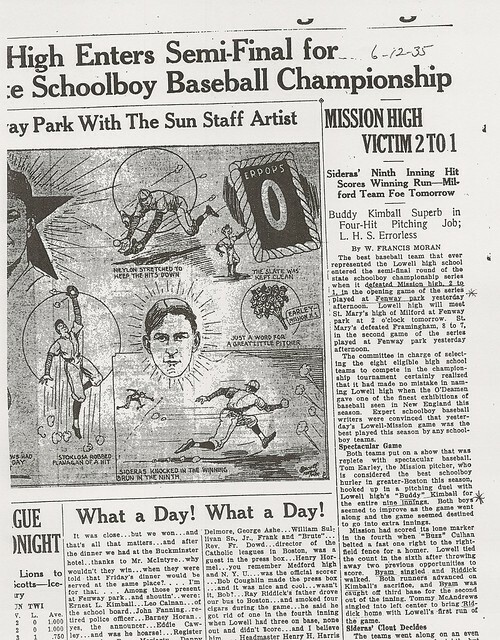 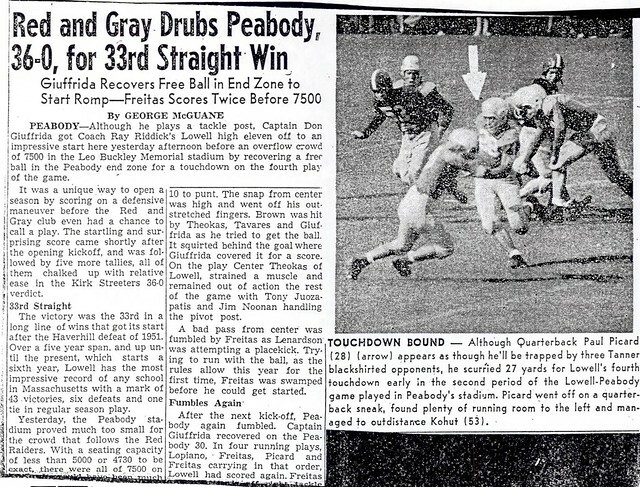 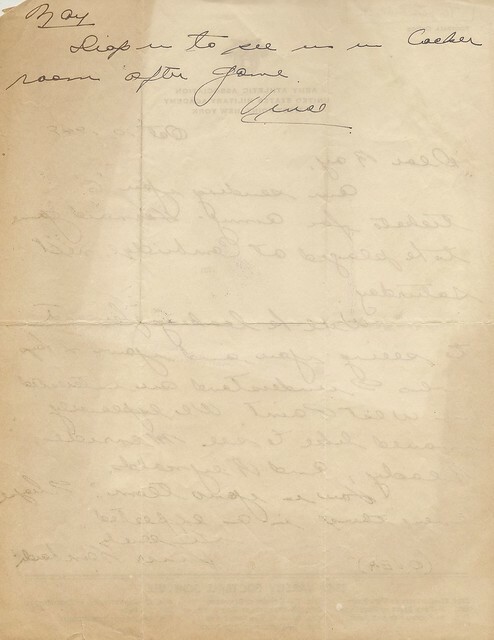 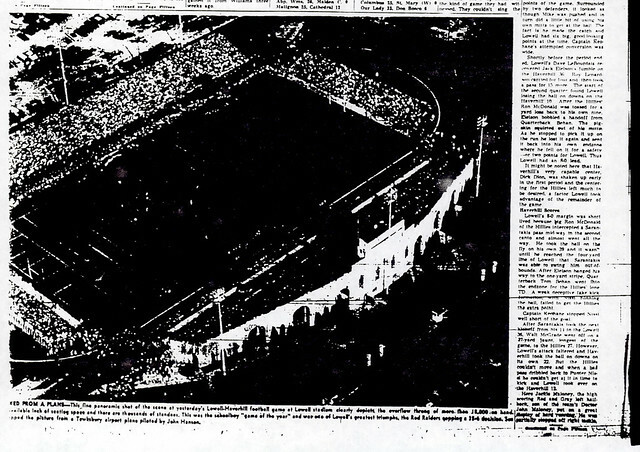 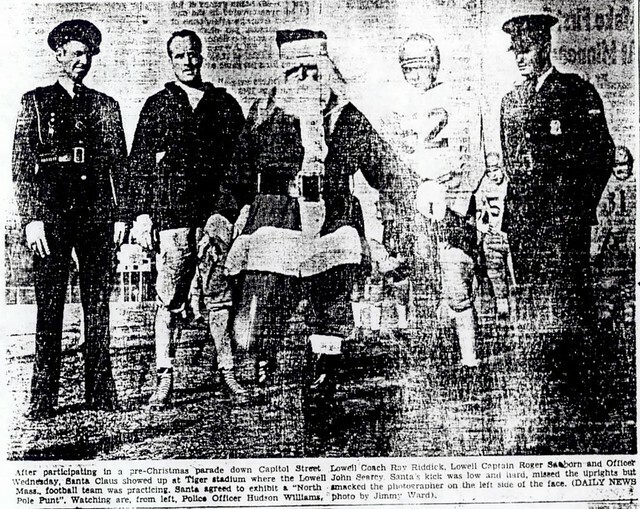 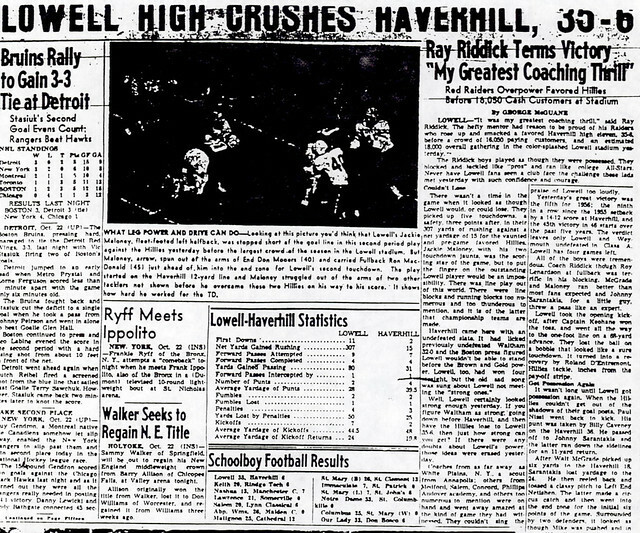 For his brilliant all-around play in 1934, Ray was named to the All-State Football Team as an end. 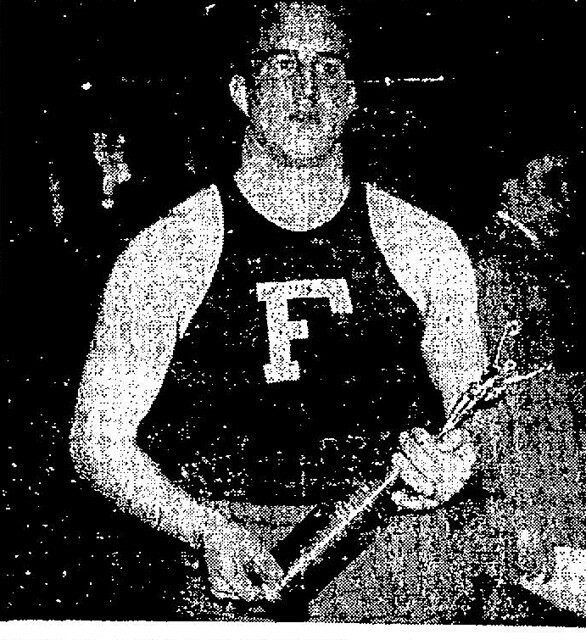 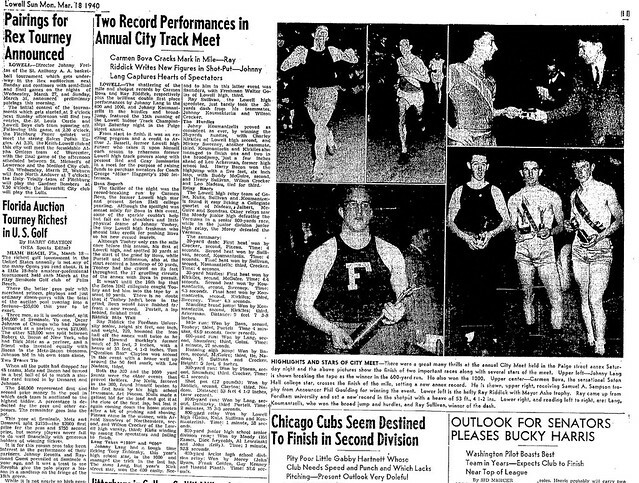 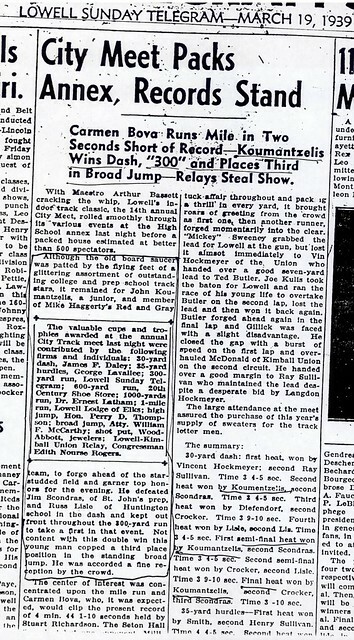 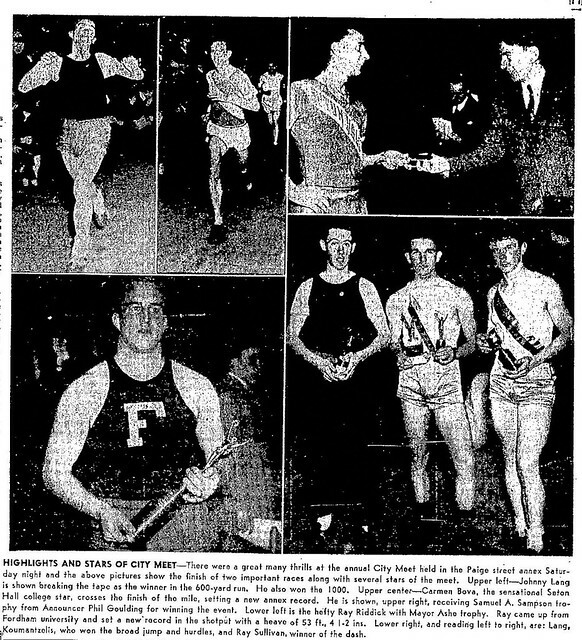 In track, he developed into one of the school’s greatest shot putters. 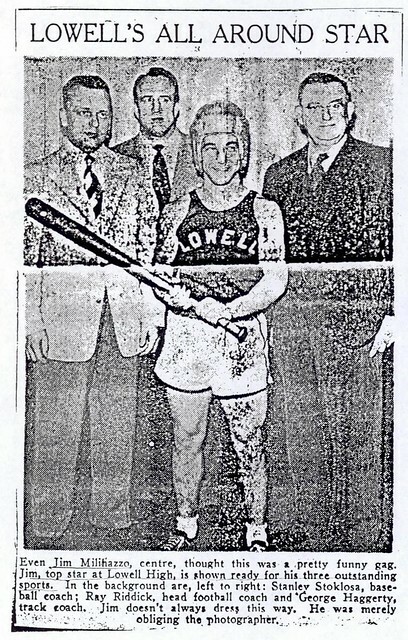 In baseball, he performed on the Red & Gray Nine that advanced to the State Finals at Fenway Park. 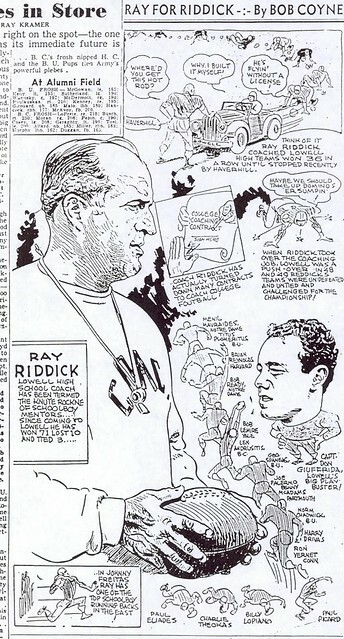 Ray attended Fordham University and became a 60-minute player and one of the top defensive ends in the country as a senior. 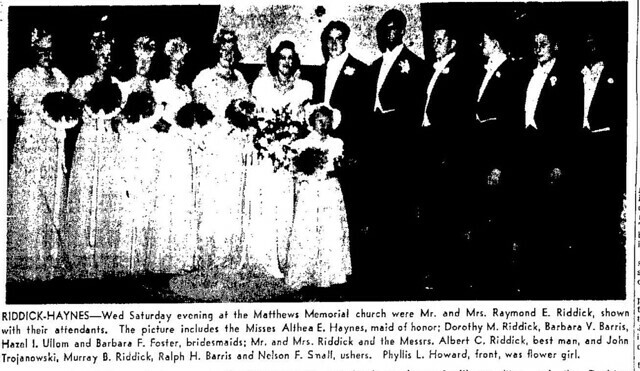 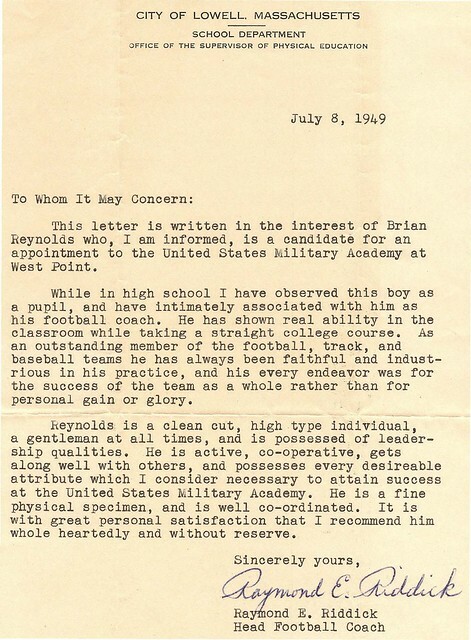 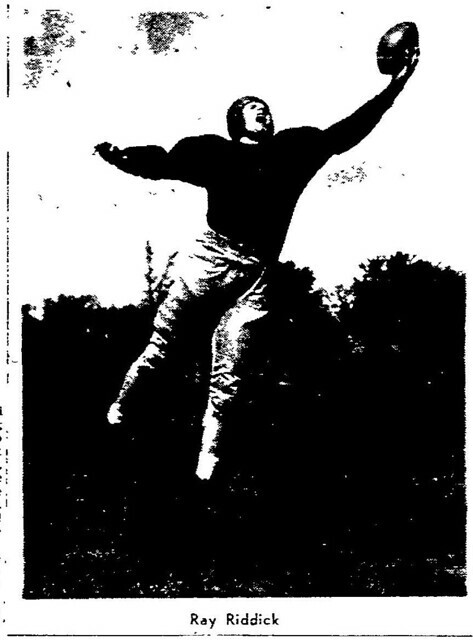 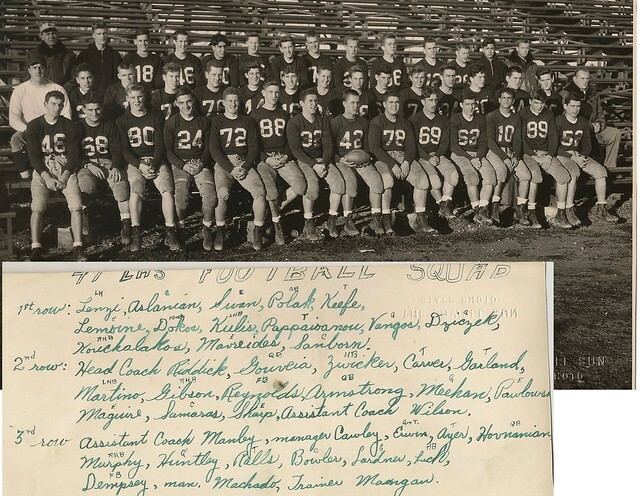 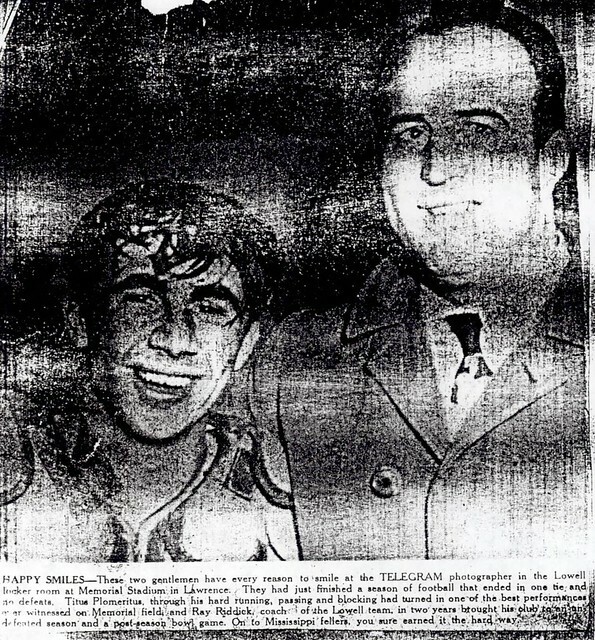 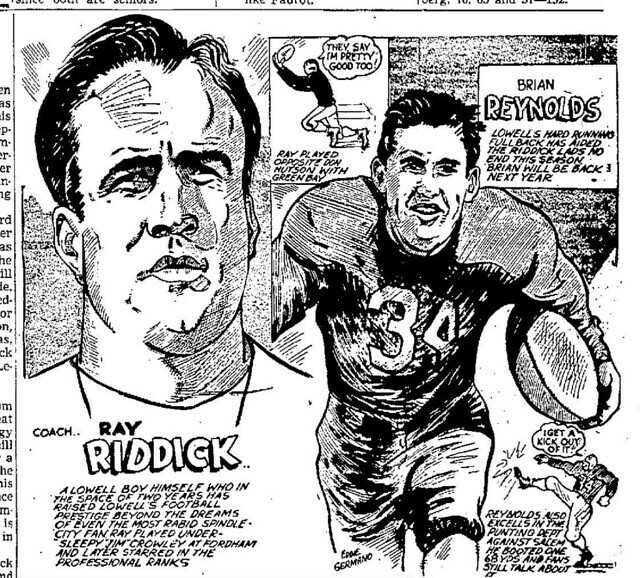 Upon graduation, Ray went on to play three seasons with the Green Bay Packers in the National Football League, being named to the Second Team All-Pro Eleven in 1941 as a two-way end. 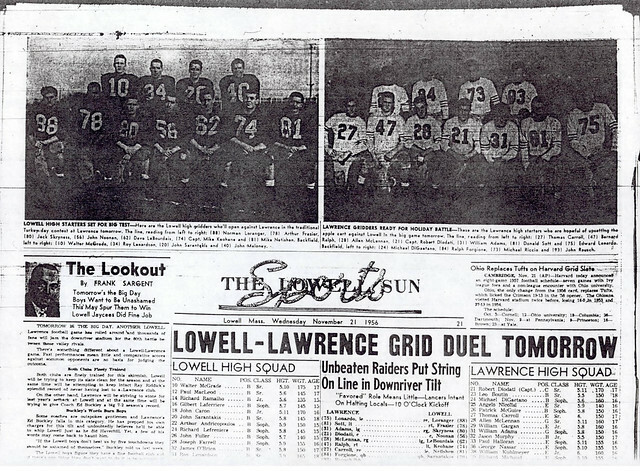 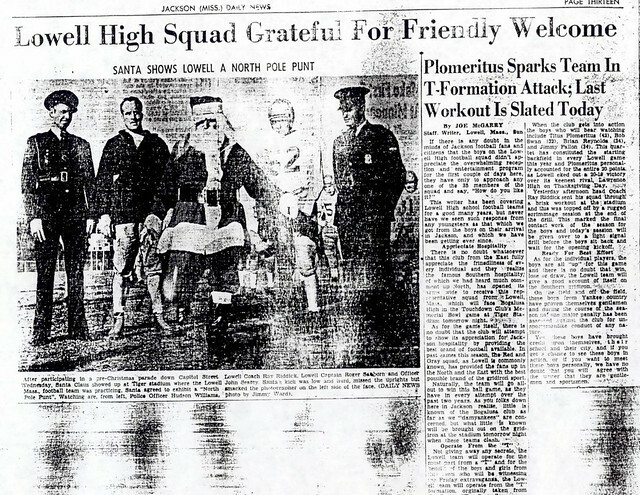 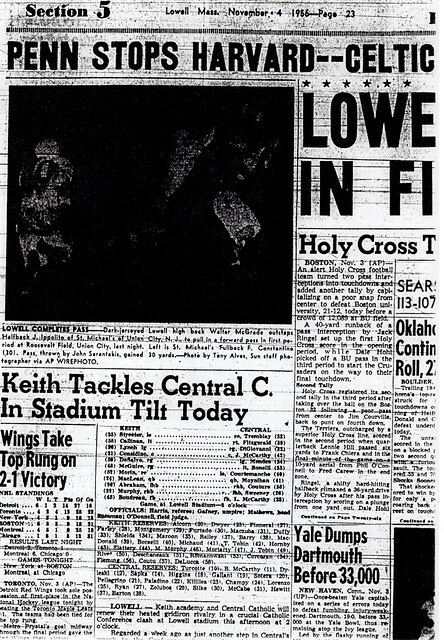 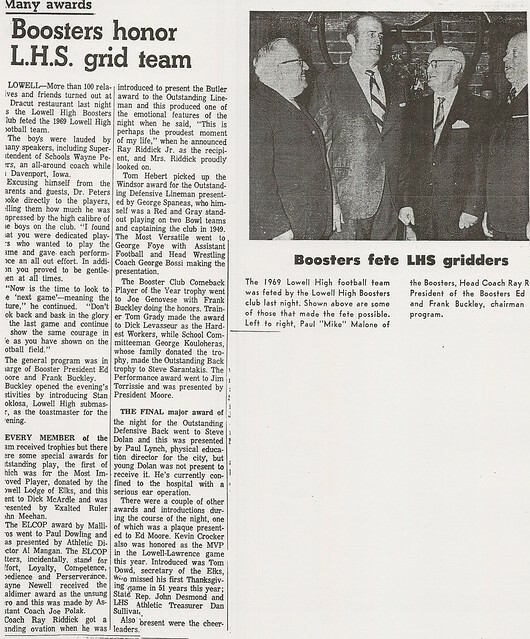 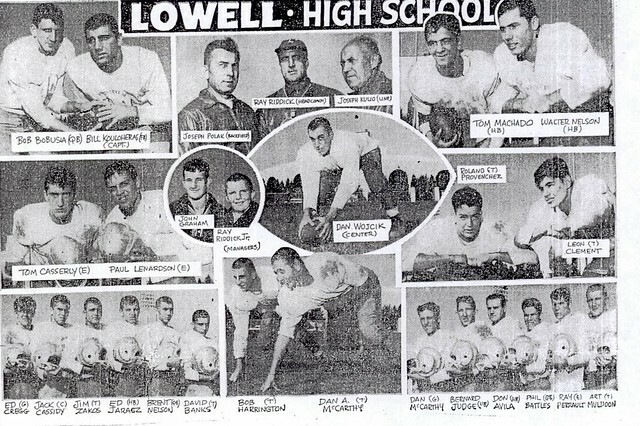 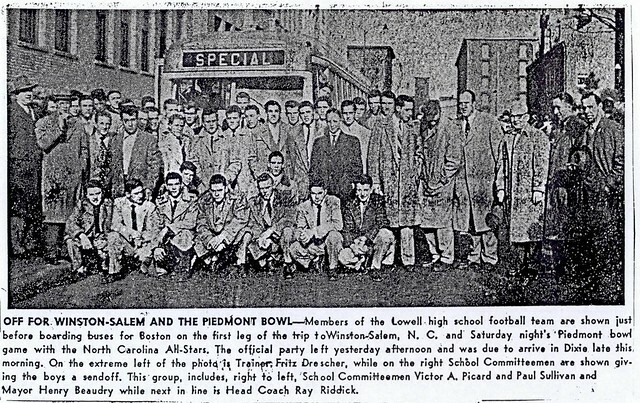 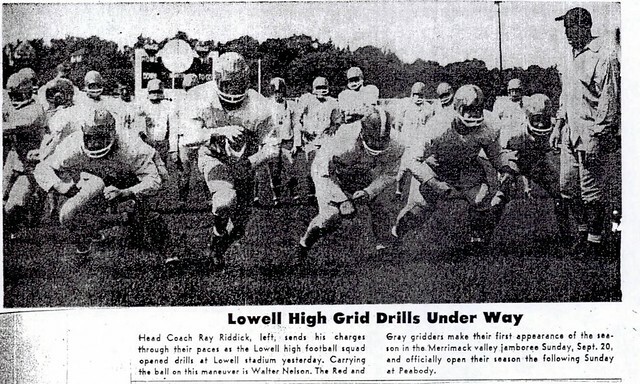 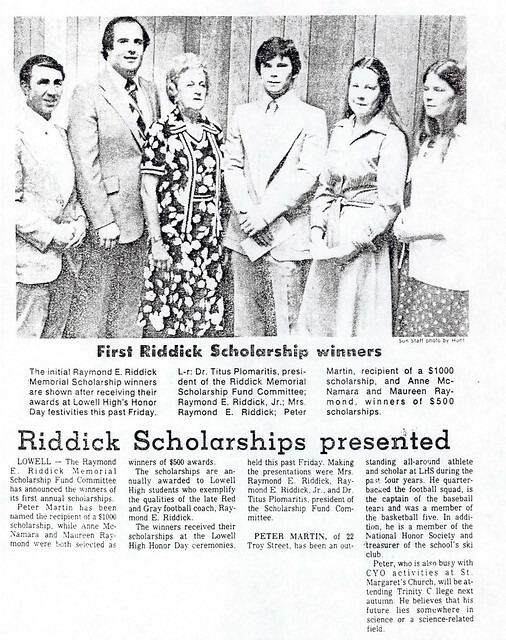 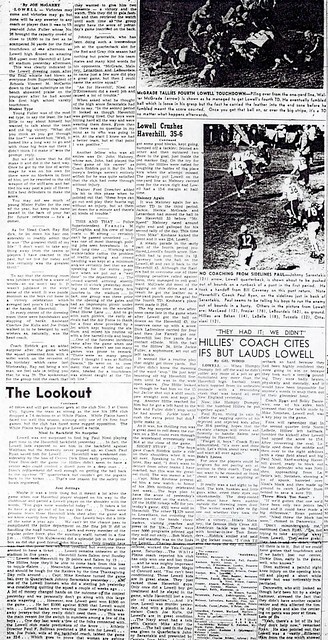 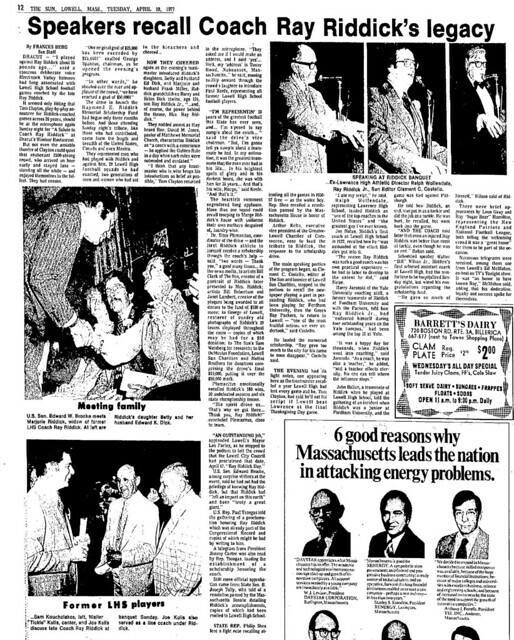 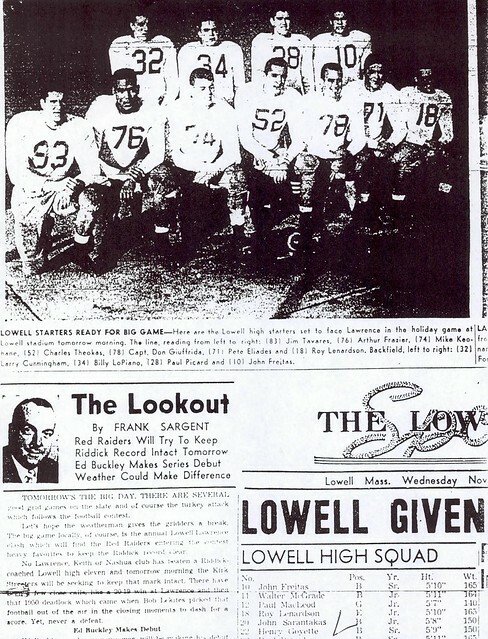 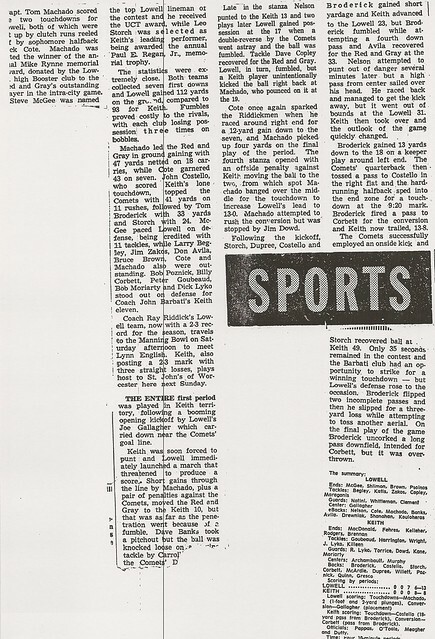 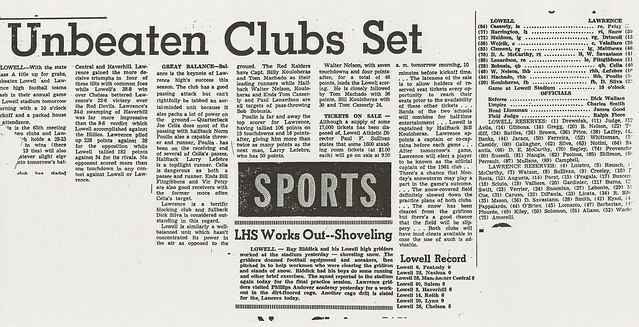 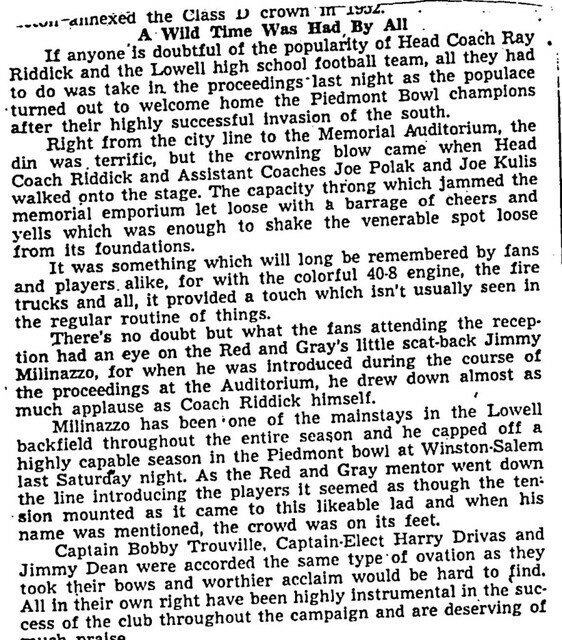 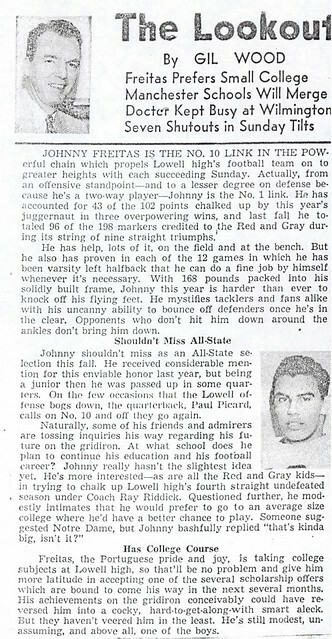 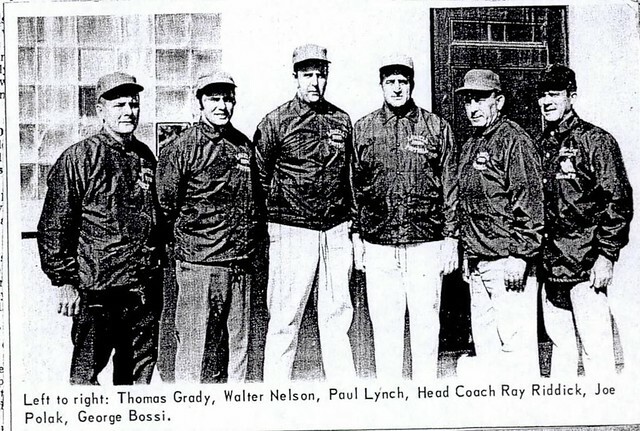 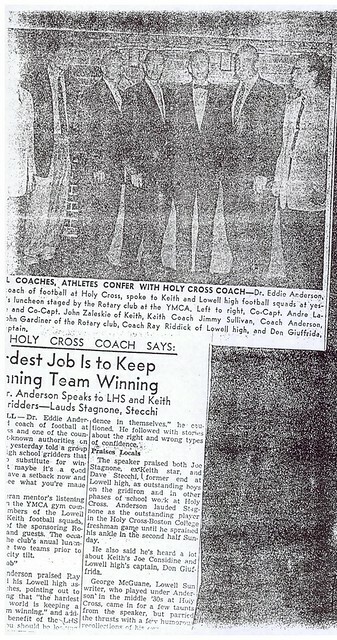 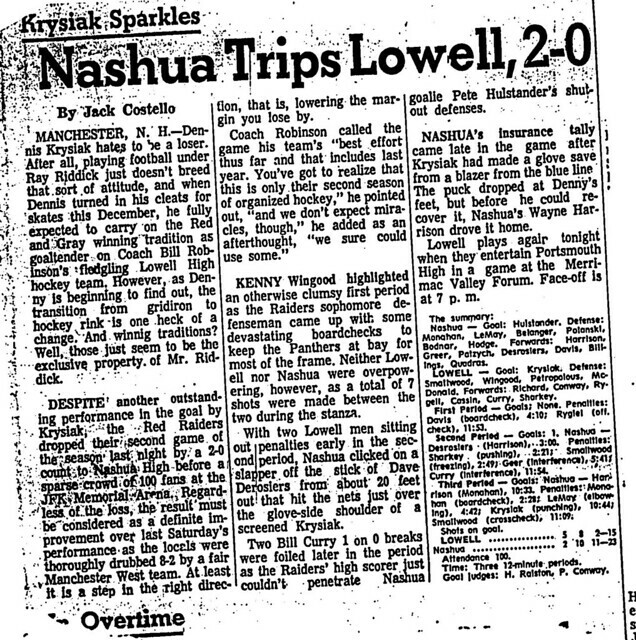 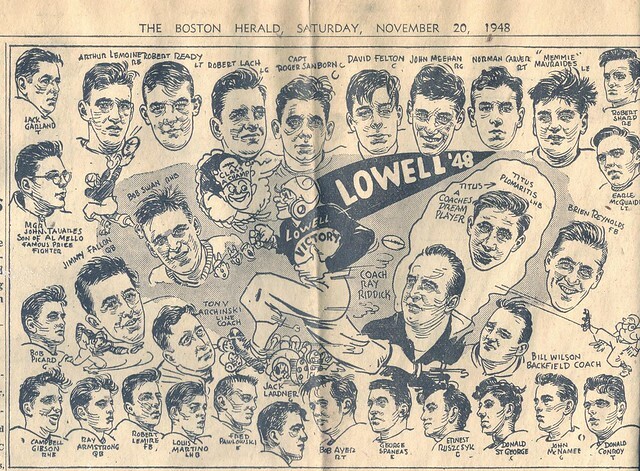 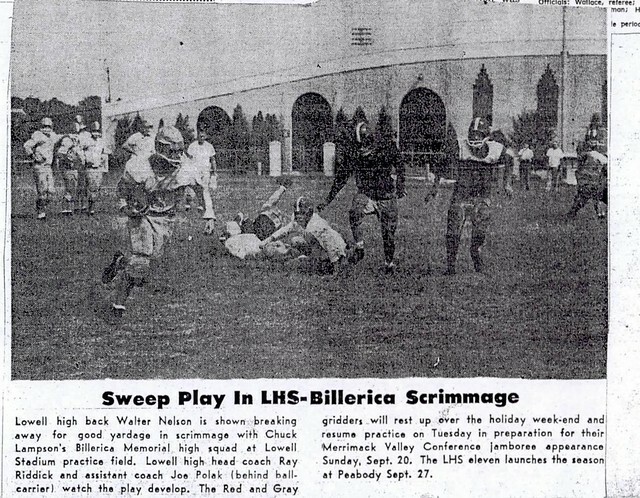 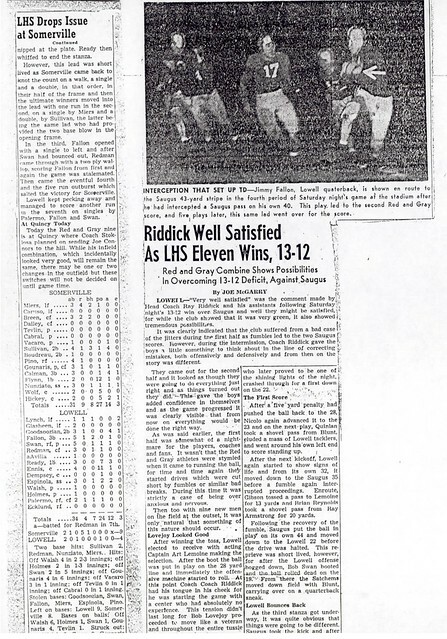 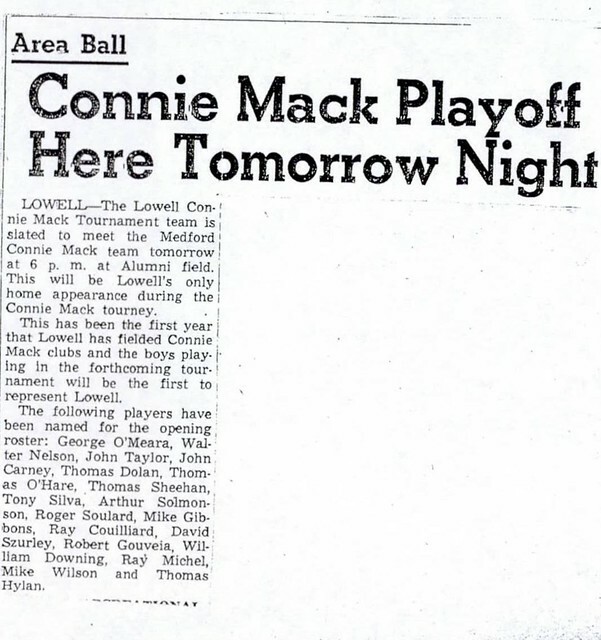 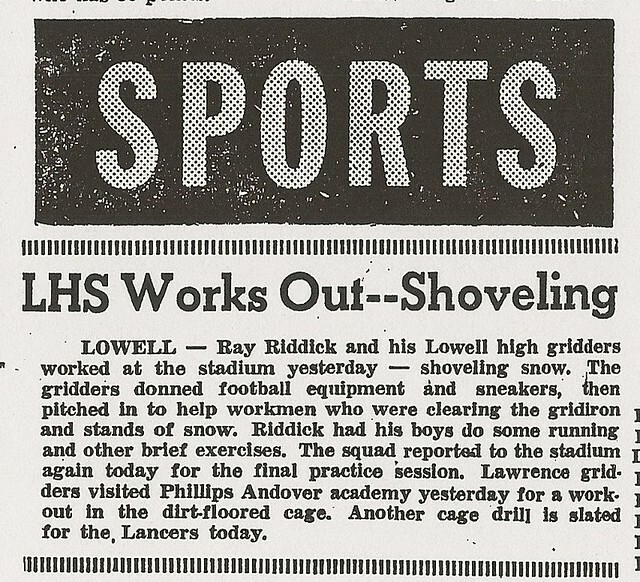 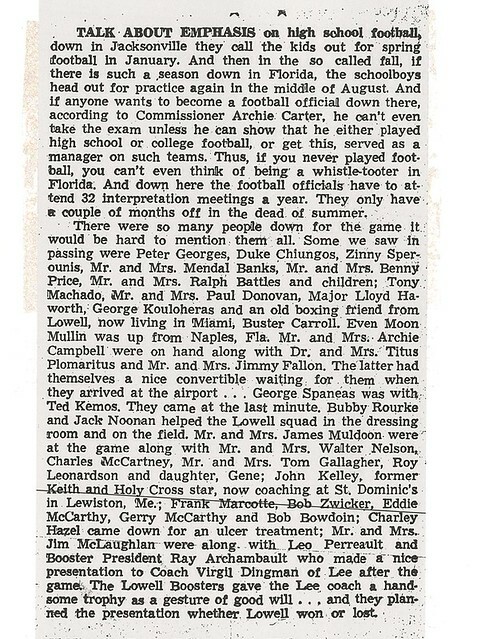 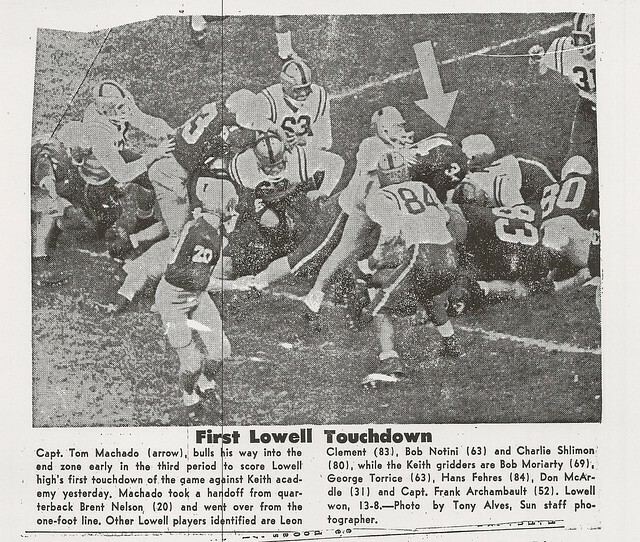 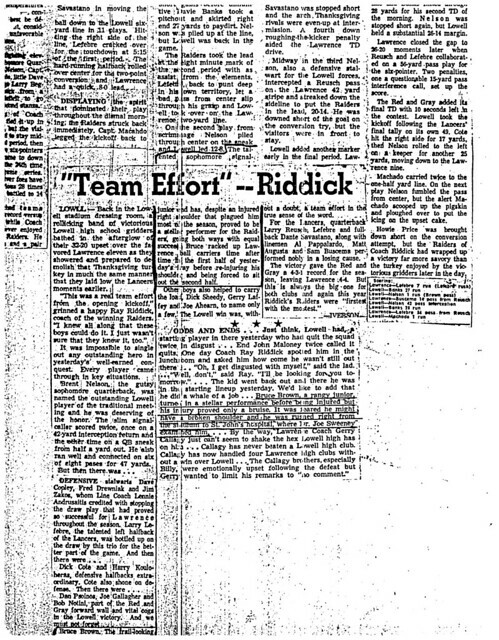 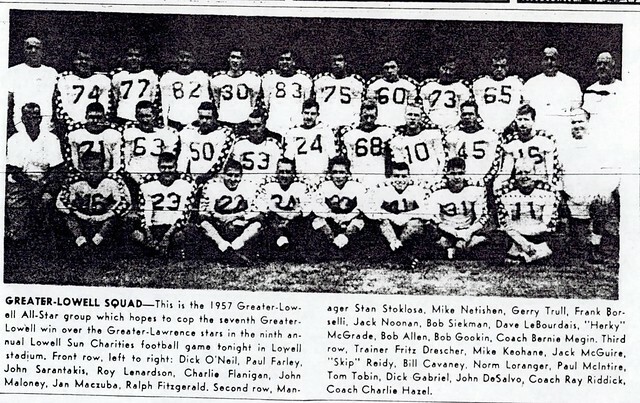 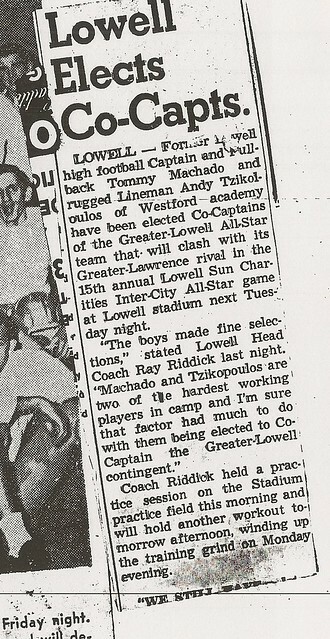 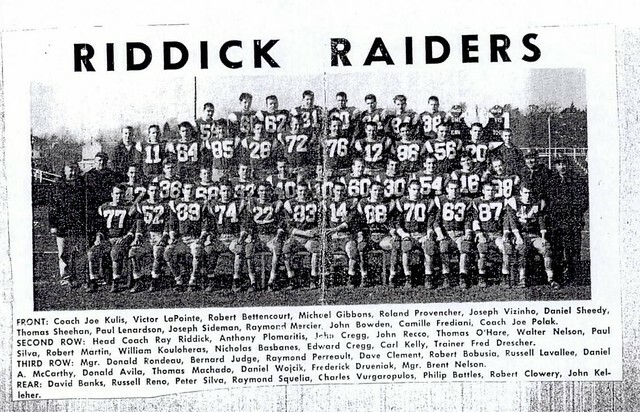 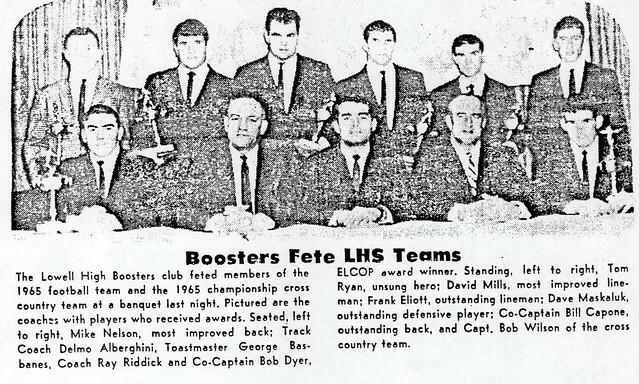 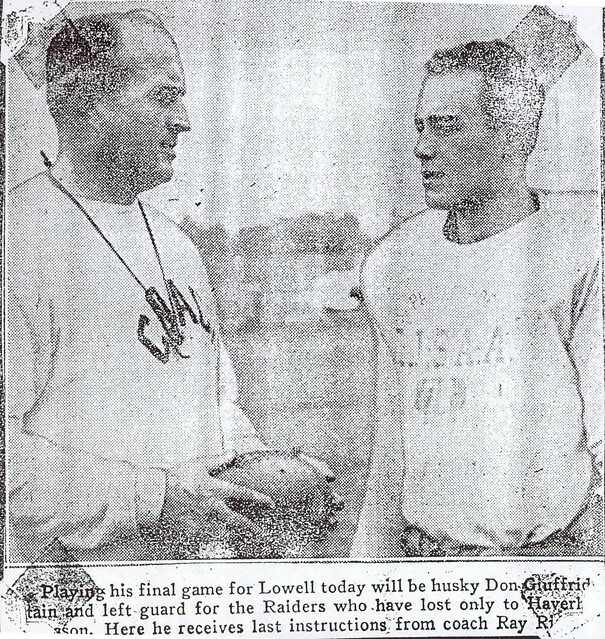 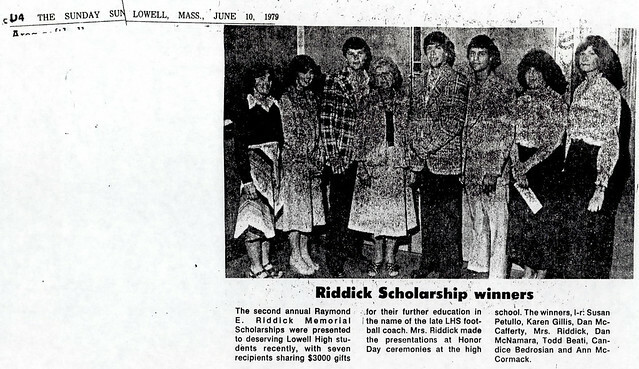 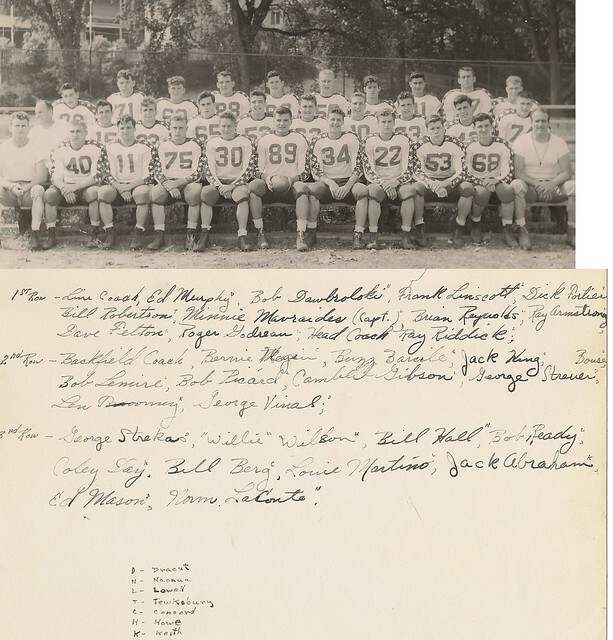 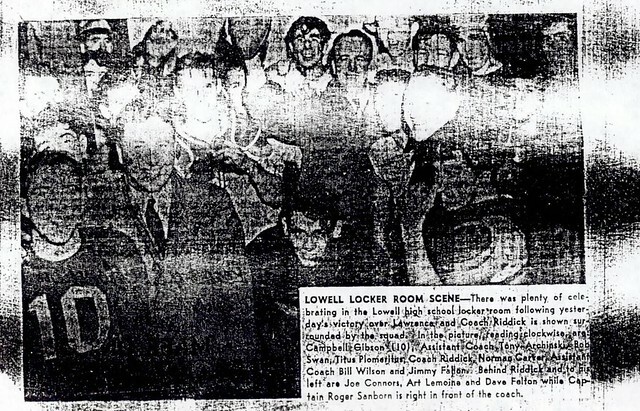 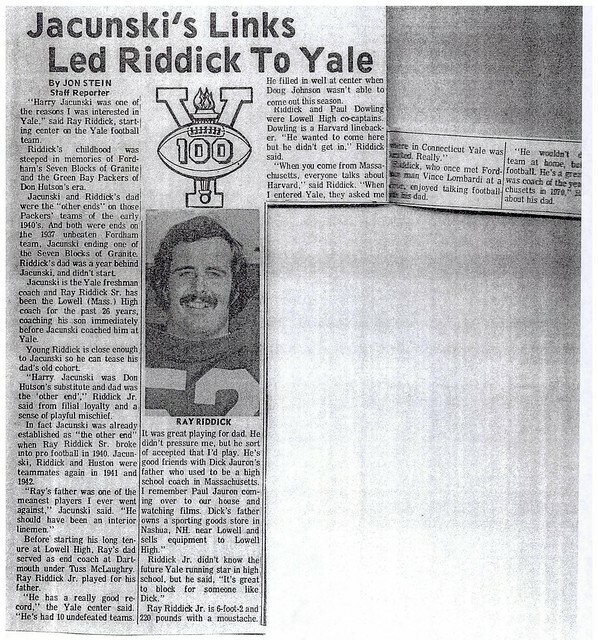 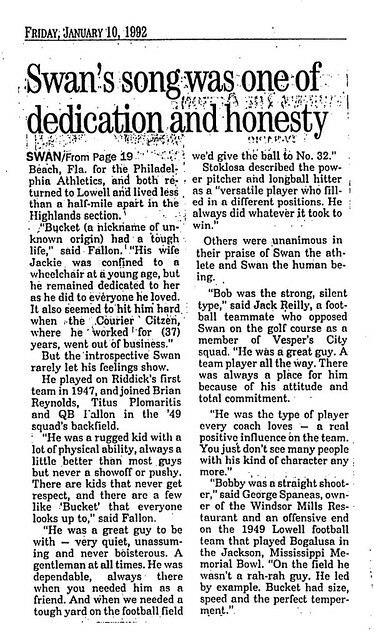 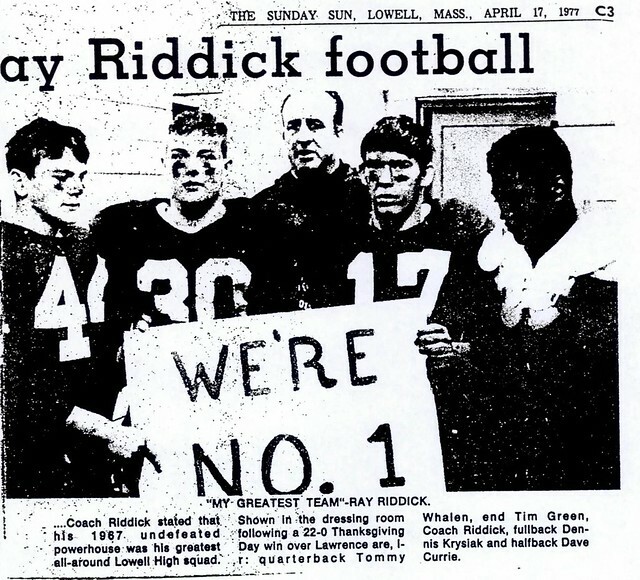 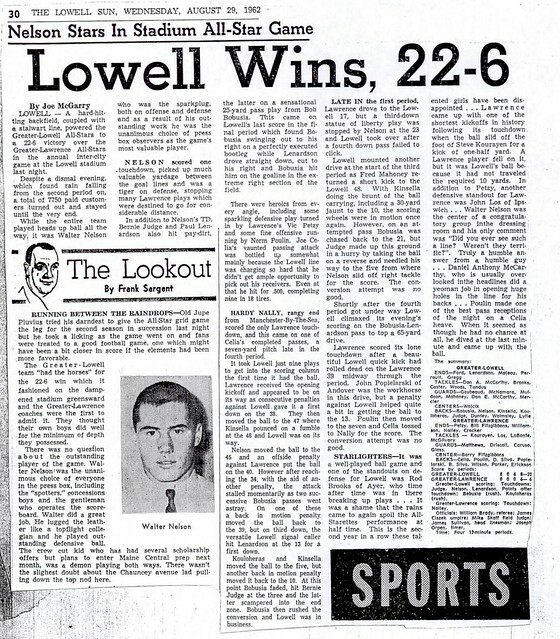 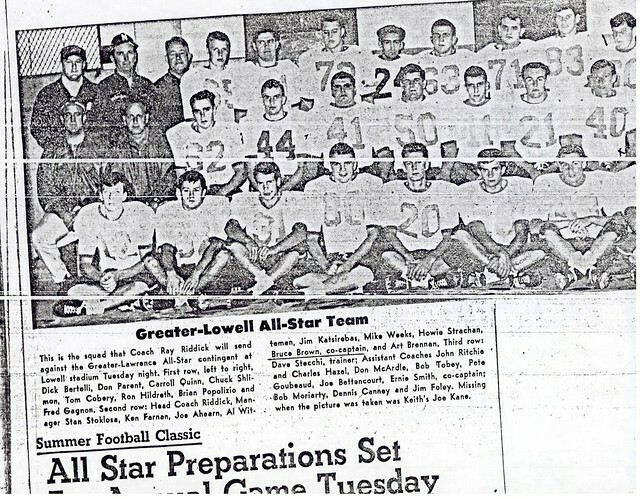 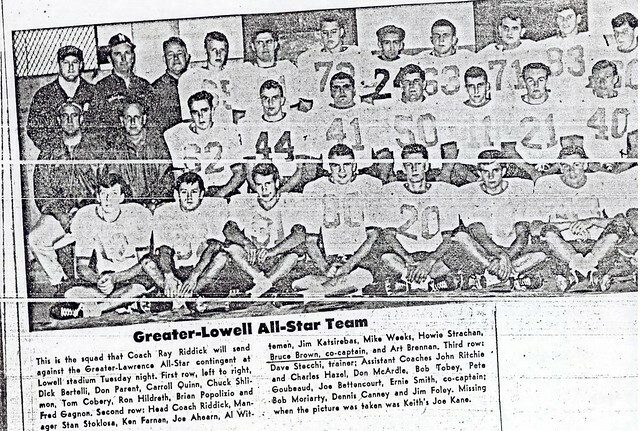 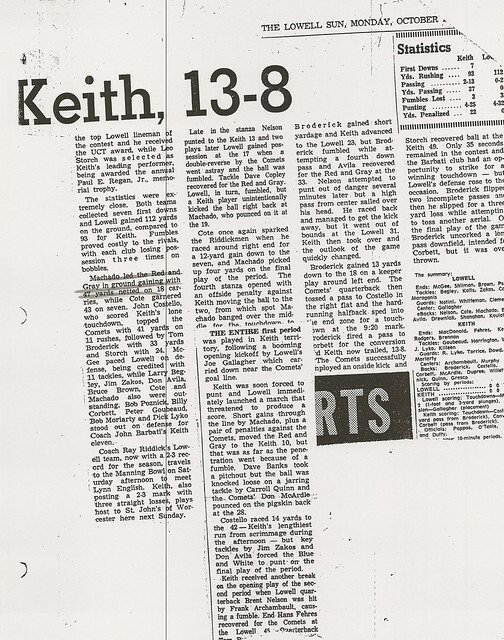 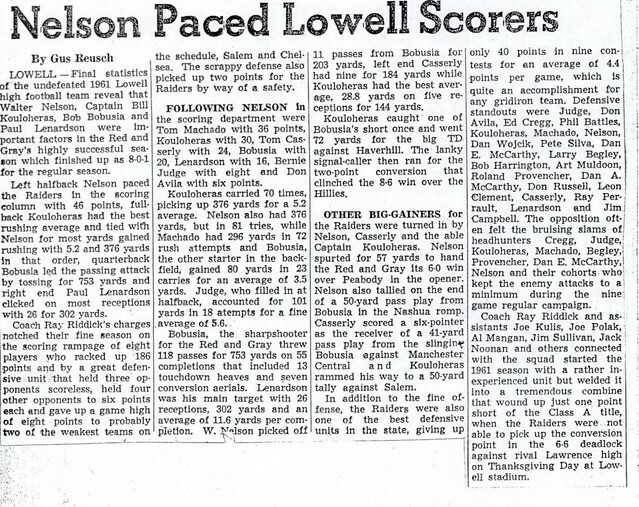 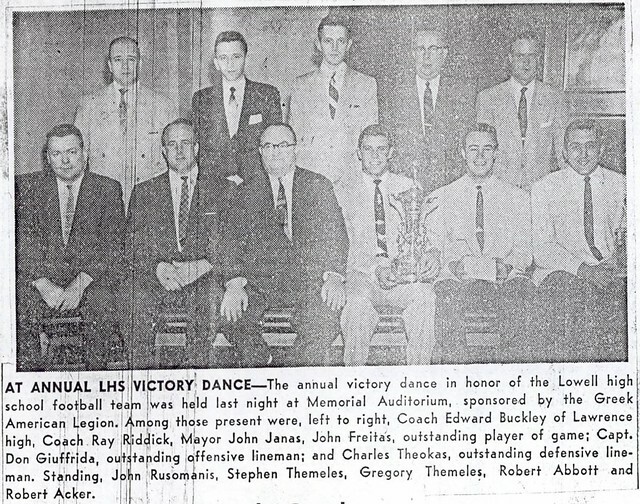 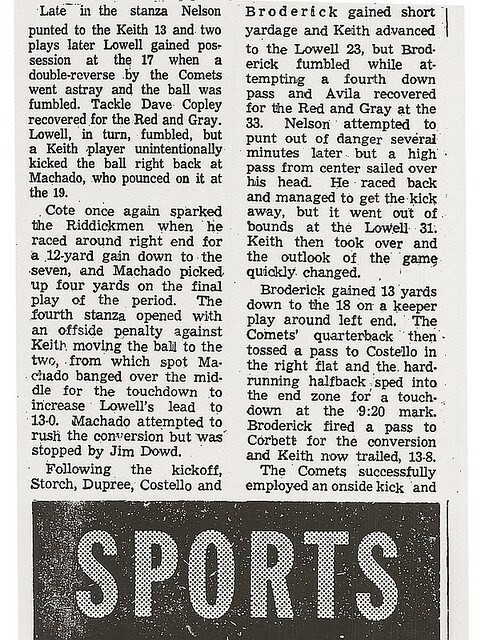 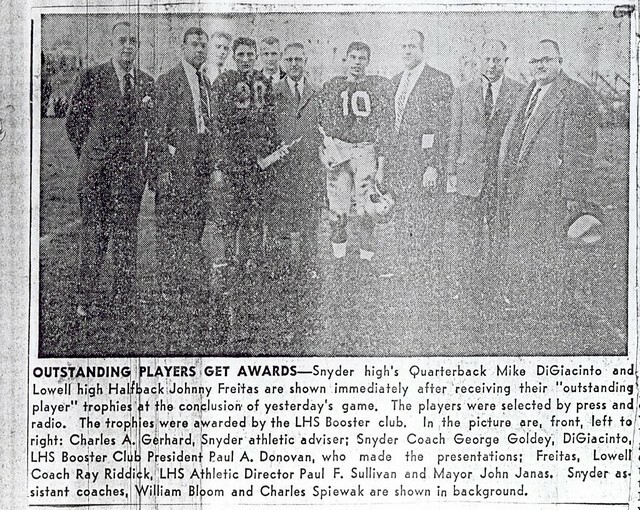 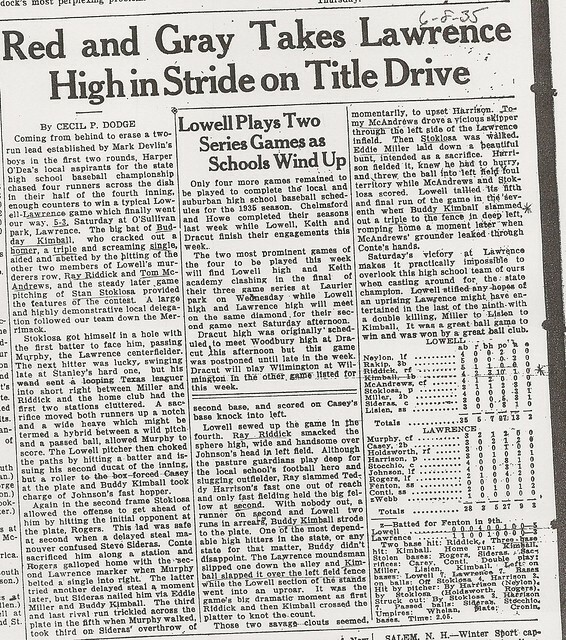 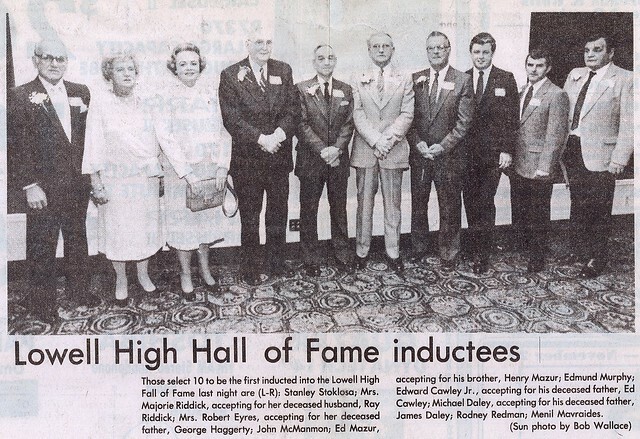 As one of the premier schoolboy football coaches in Massachusetts from 1947 to 1975, Riddick guided the Lowell High Raiders to an incredible 180–73–14 record, which included 91 shutouts, 10 undefeated seasons, and 6 Eastern Massachusetts Championships. 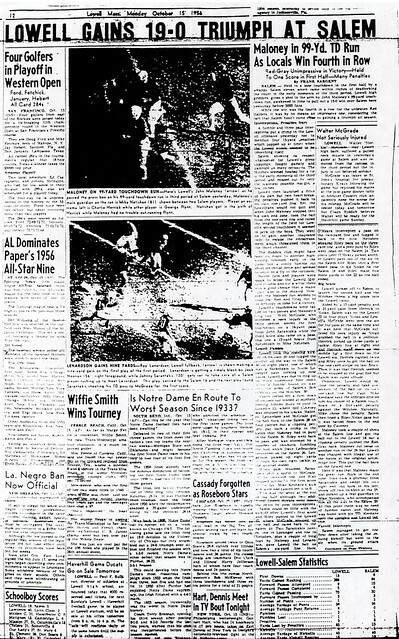 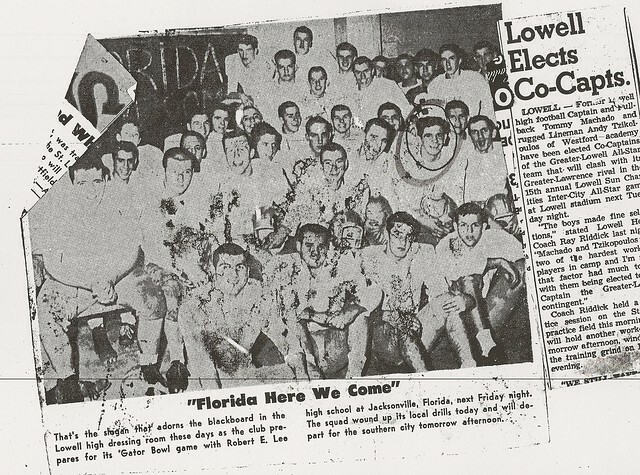 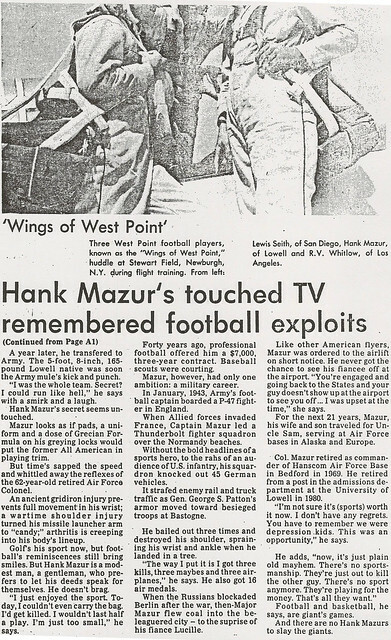 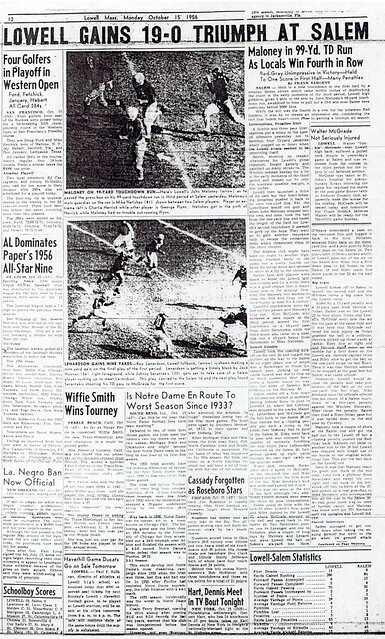 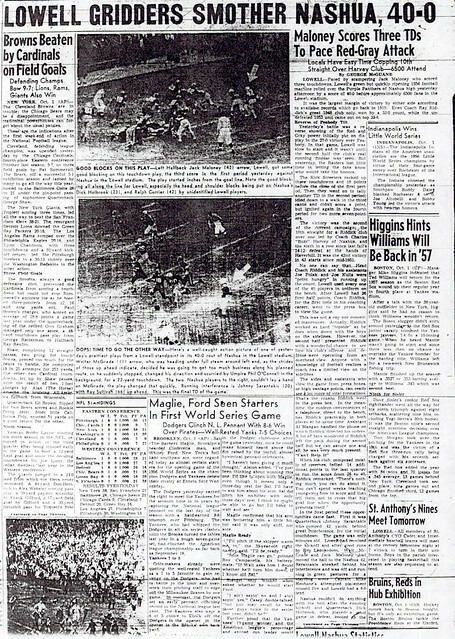 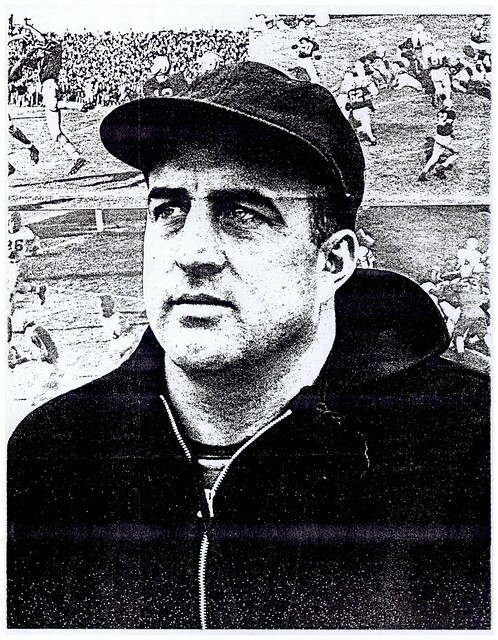 His teams played 4 Bowl Games and from 1951 to 1957 won 52 of 54 games. 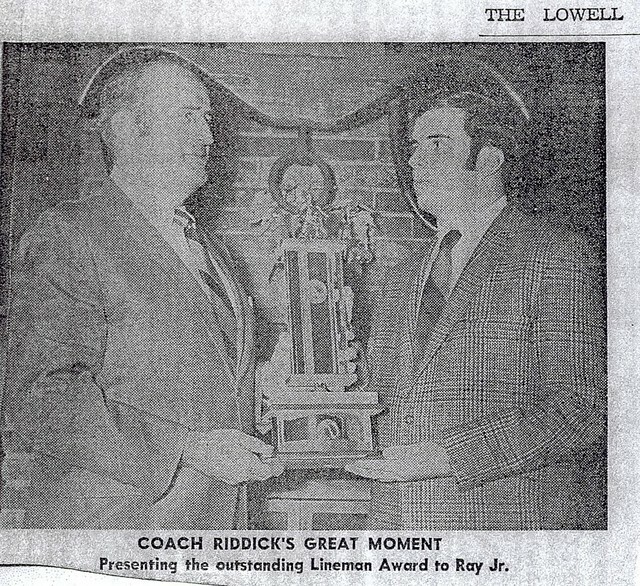 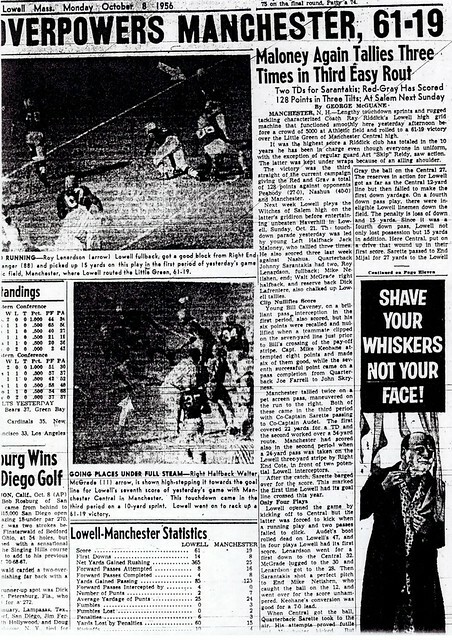 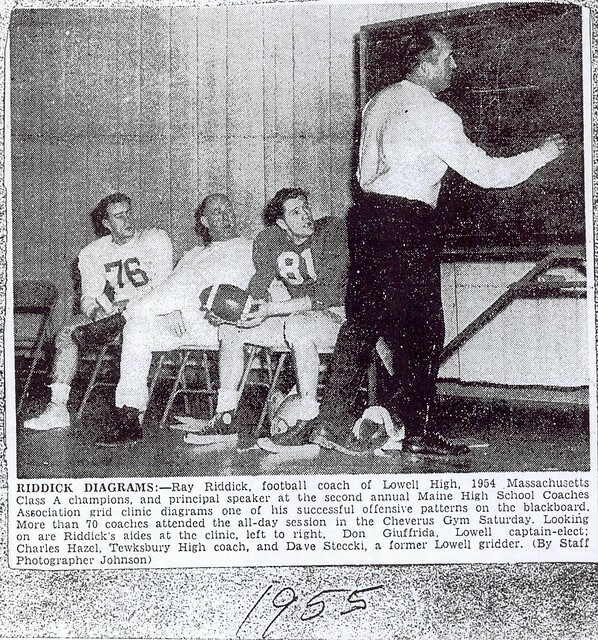 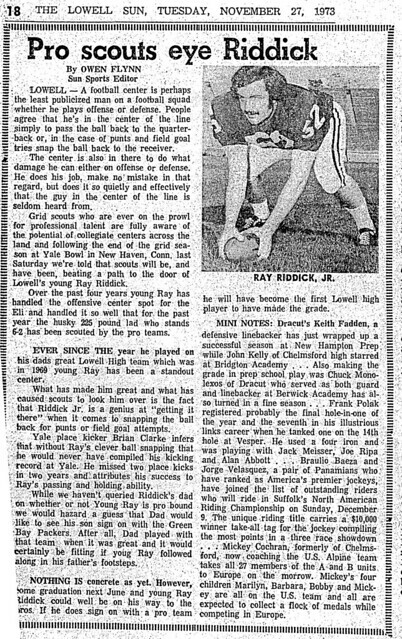 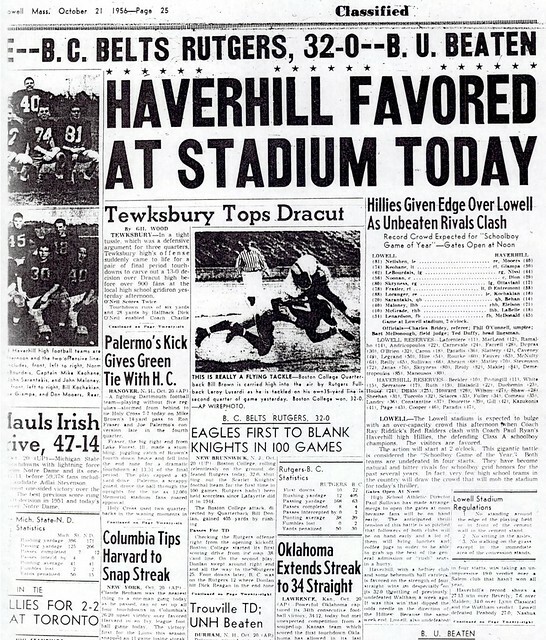 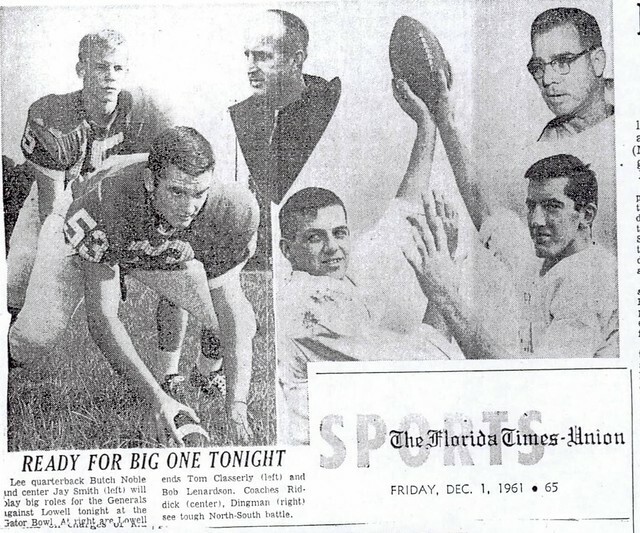 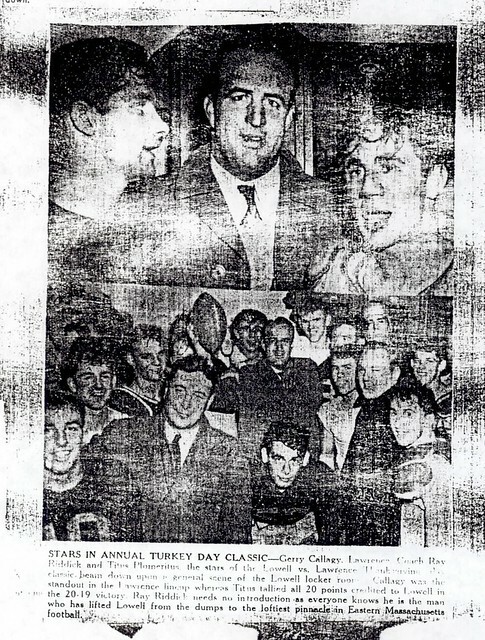 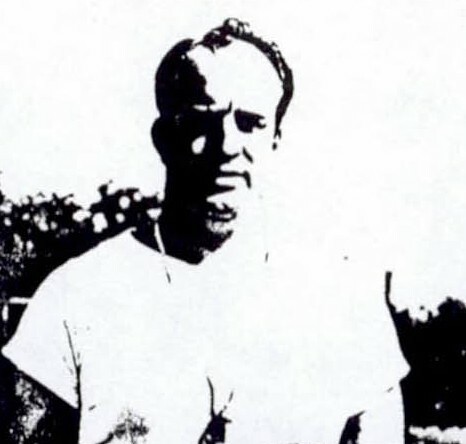 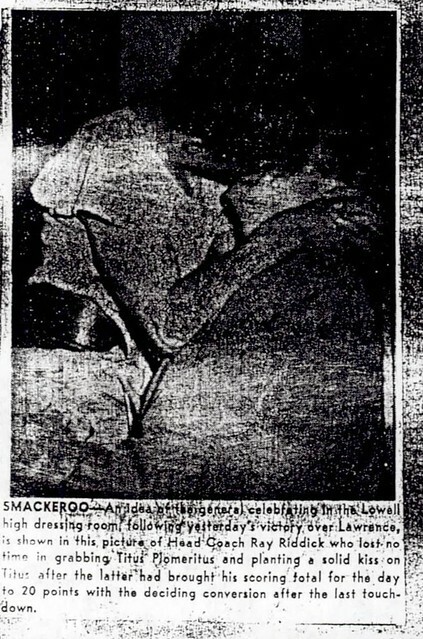 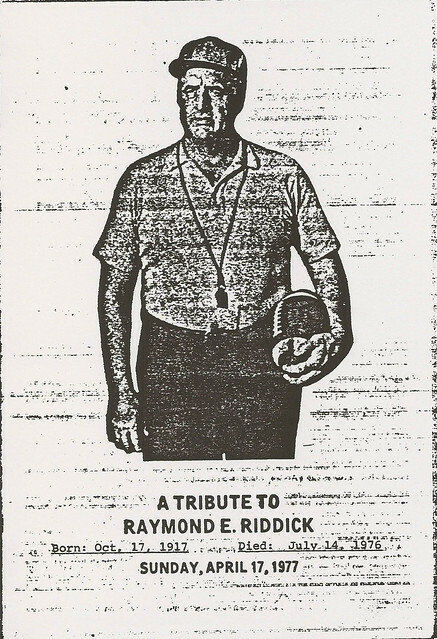 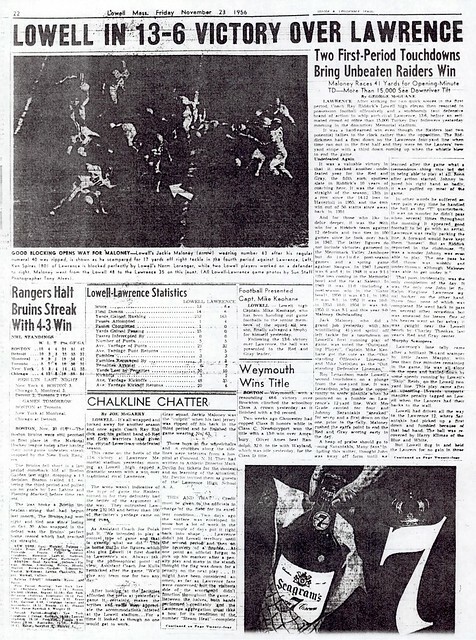 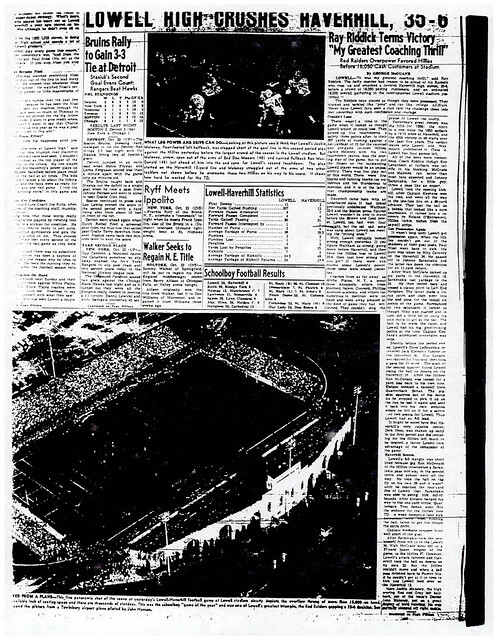 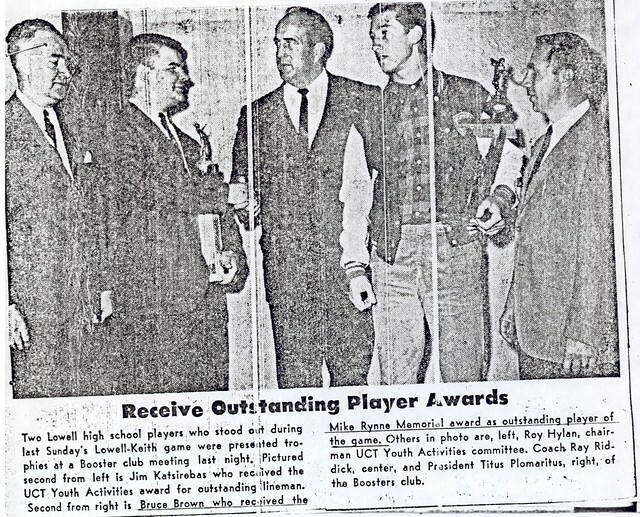 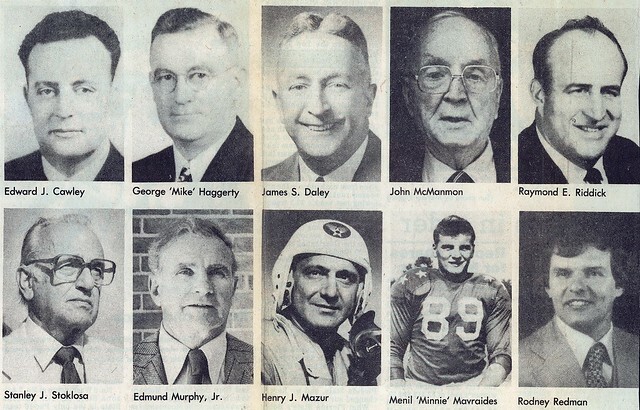 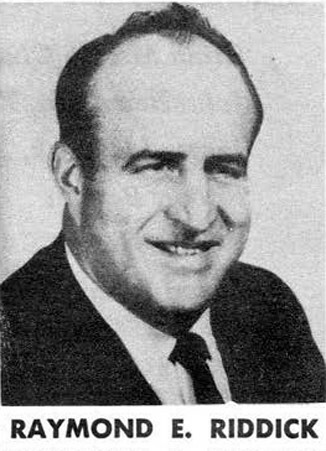 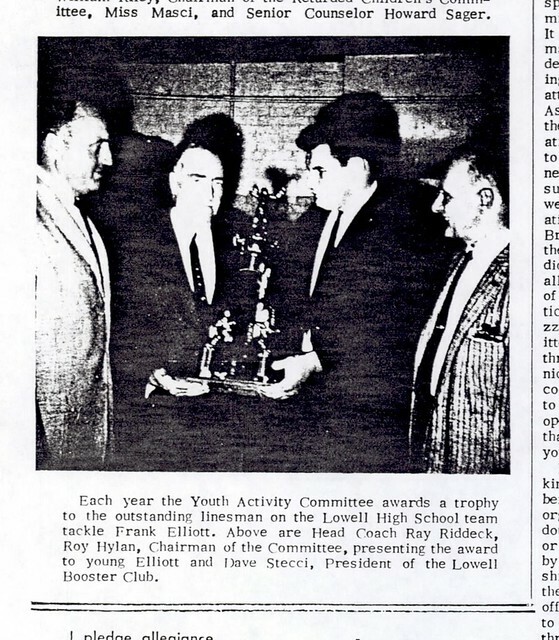 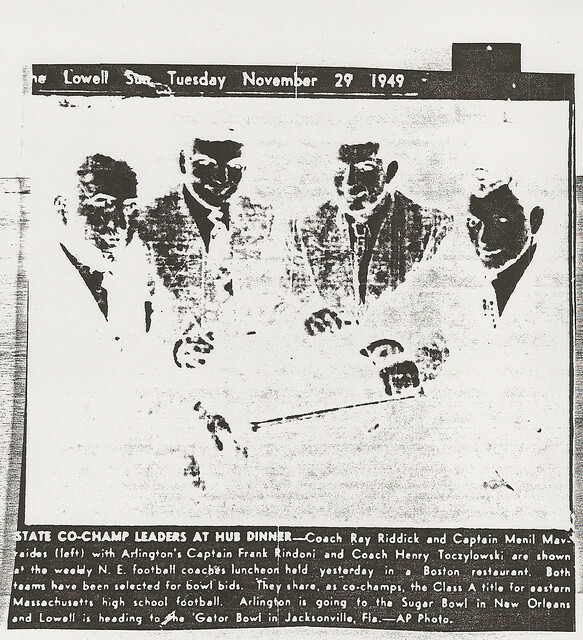 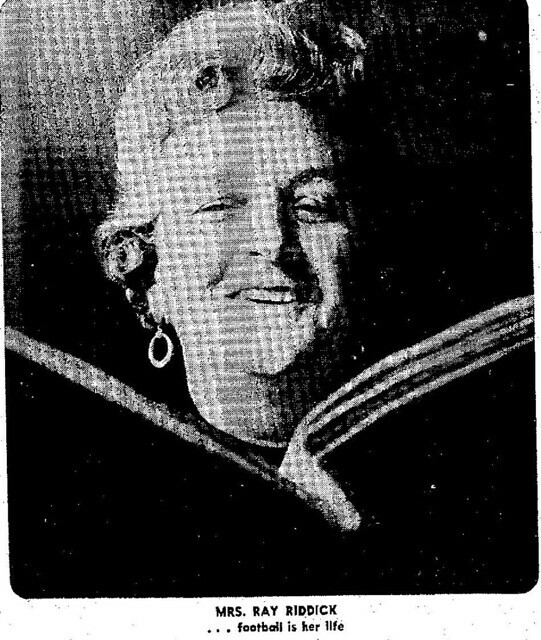 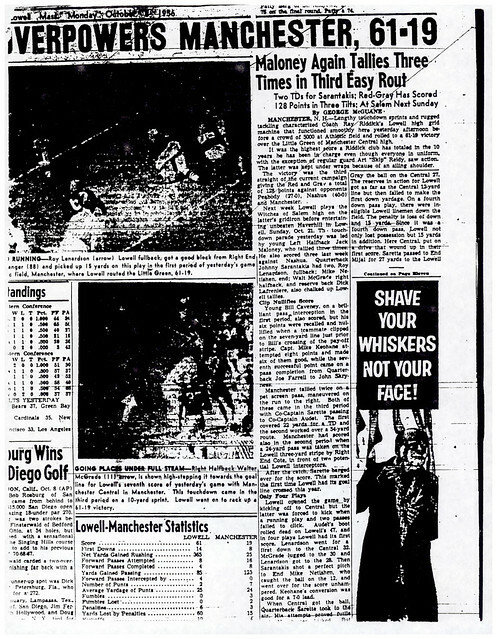 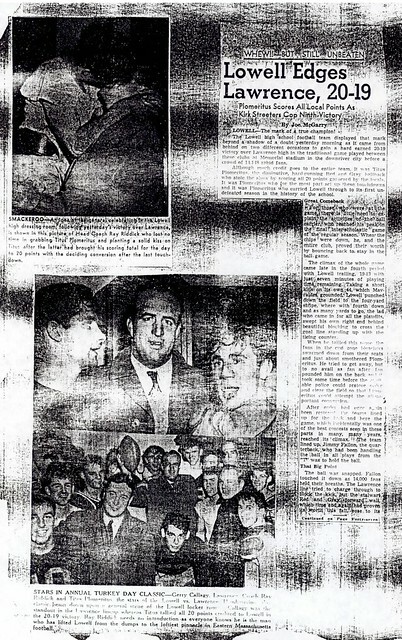 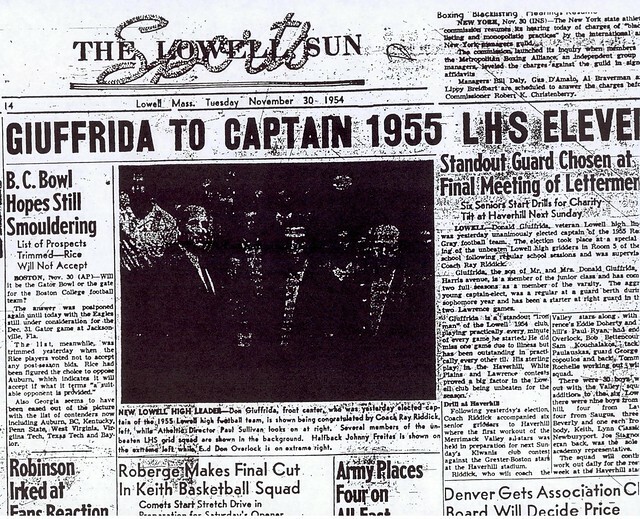 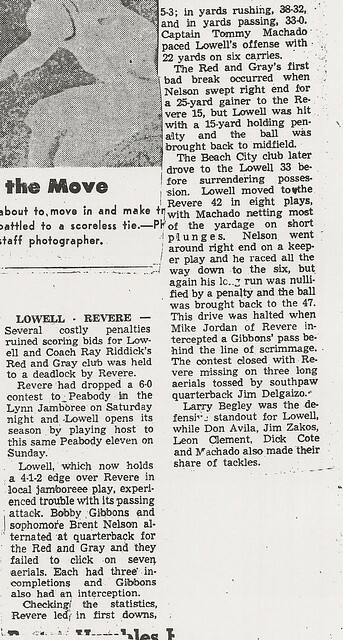 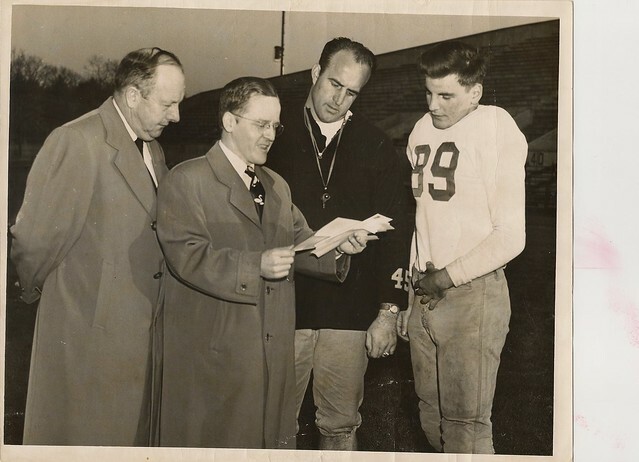 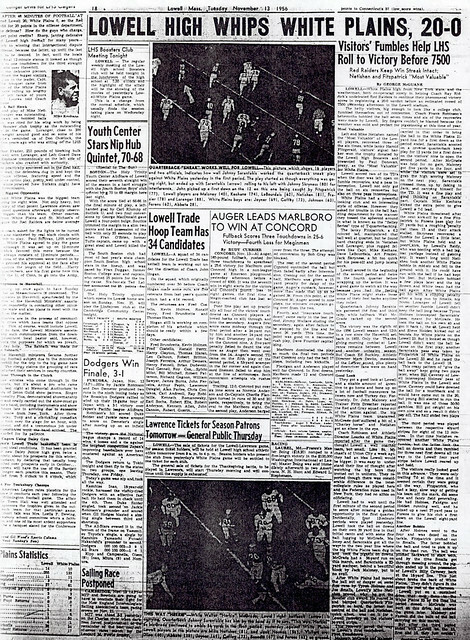 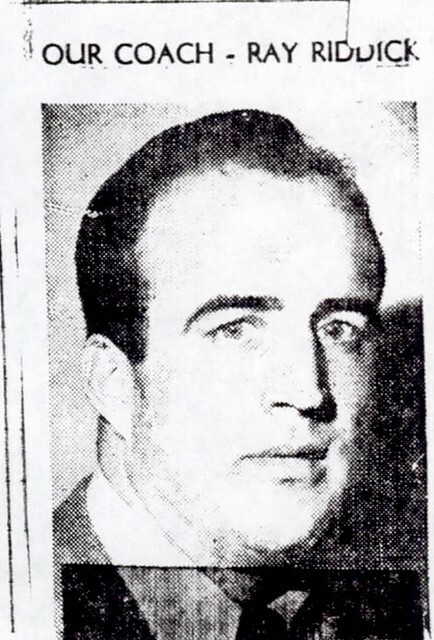 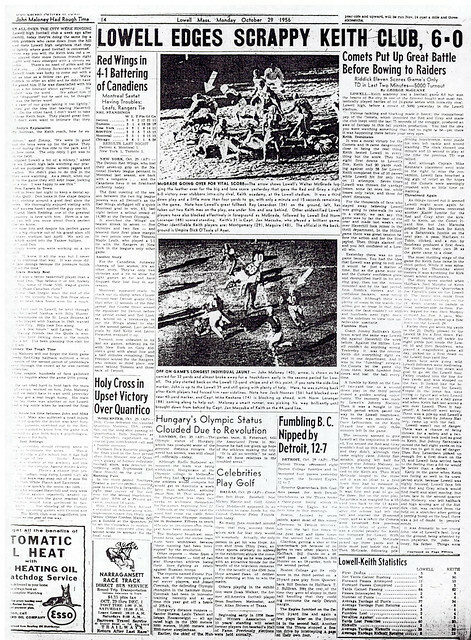 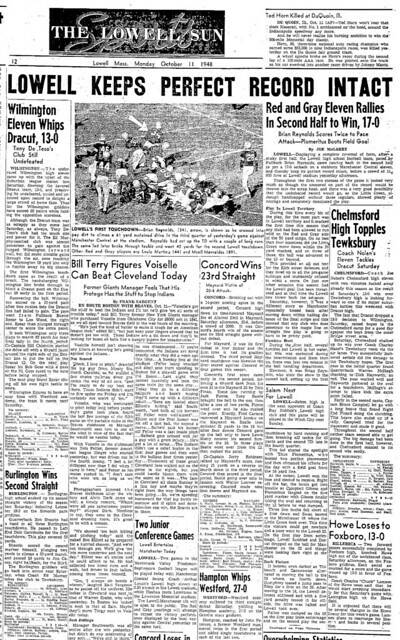 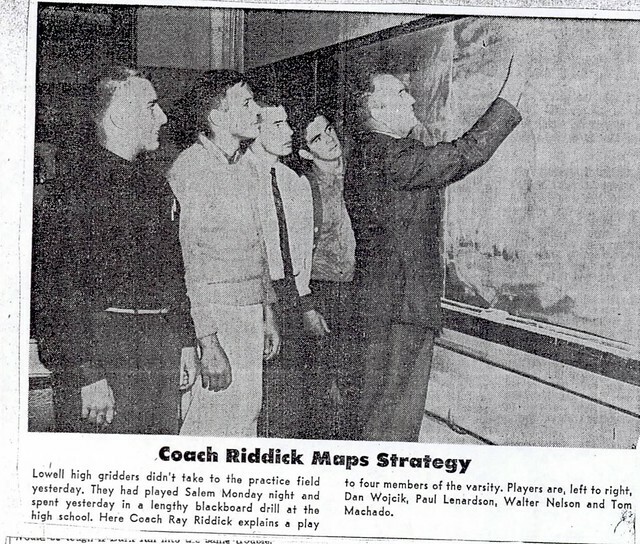 Ray Riddick was the recipient of the Boston Globe “Football Coach of the Year Award” in 1956 and 1970. 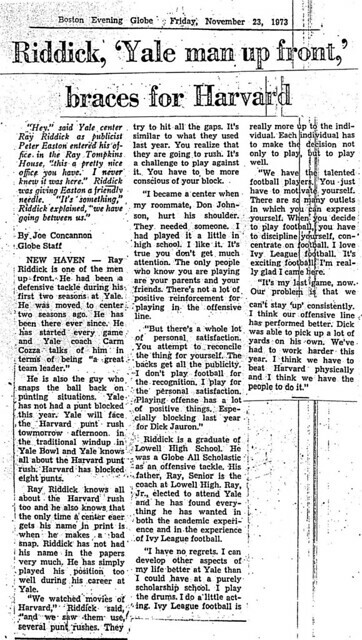 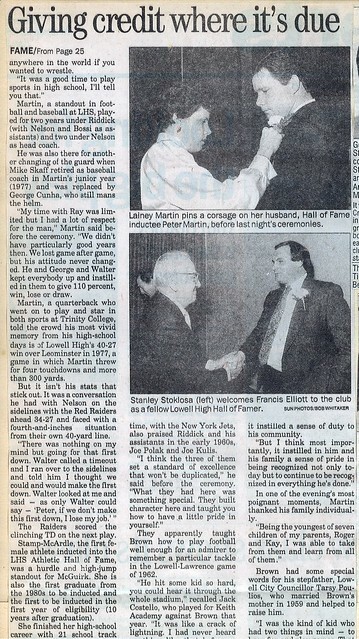 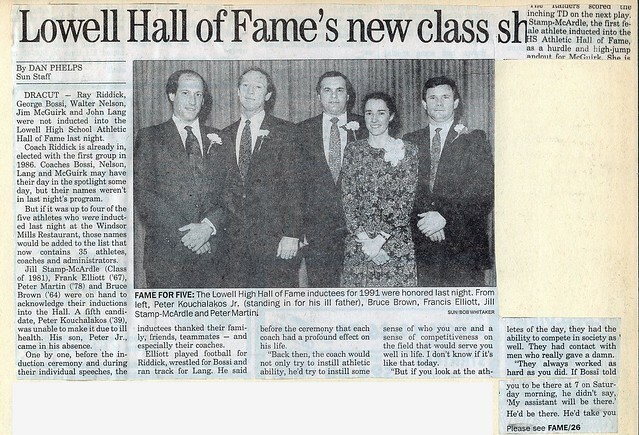 He was inducted into the Fordham Hall of Fame in 1976 and the Massachusetts High School Football Coaches Hall of Fame in 1977. 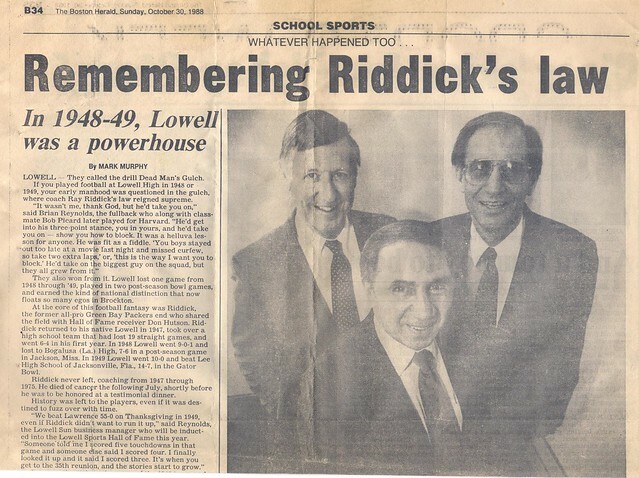 The name of Raymond E. Riddick was immortalized in 1981 when the splendid new Lowell High School Field house was dedicated in his memory.